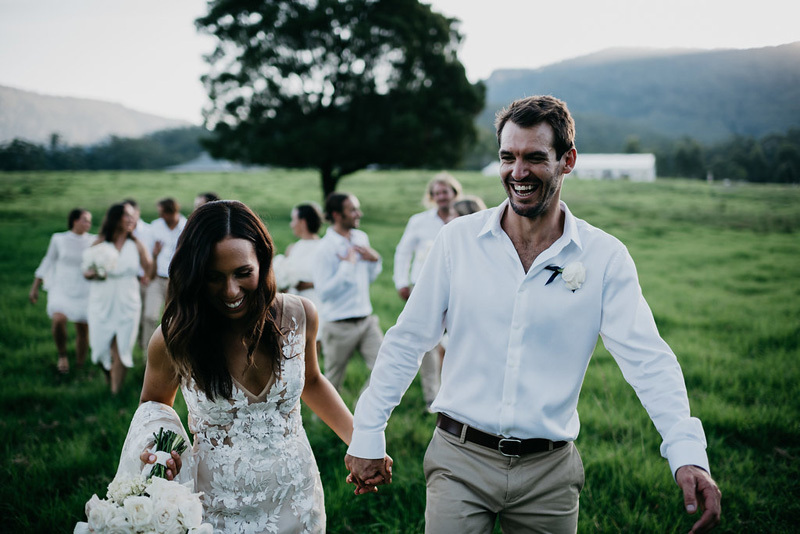 Lui and James were trekking through India and Nepal when James proposed. 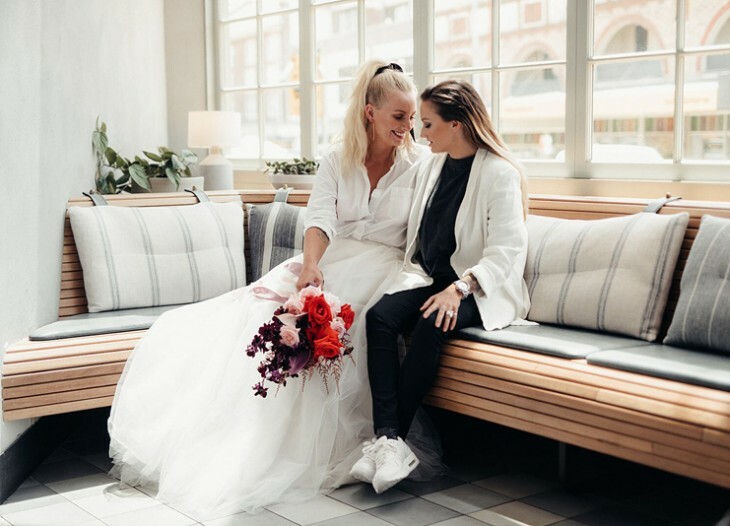 They arrived at a tea house on Khopra Danda, 3660 meters above sea-level, exhausted but in awe of the surrounding beauty, mountains and ice glaciers. 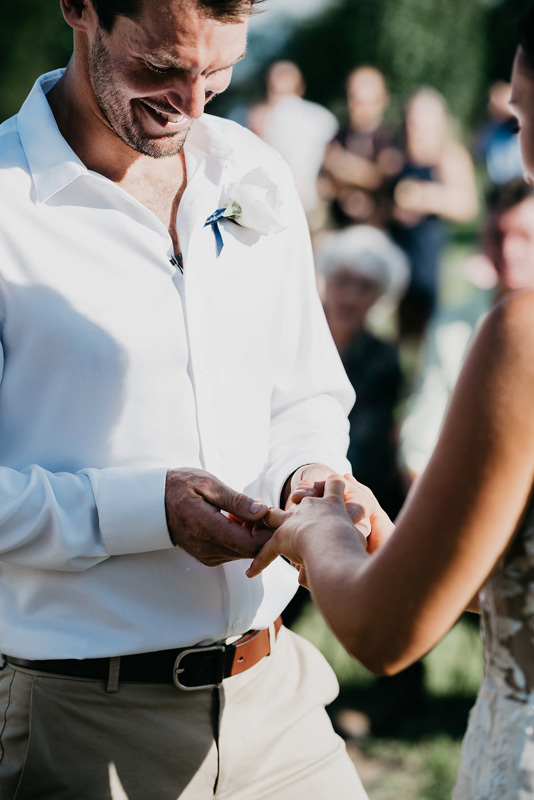 Slightly woozy, and likely suffering from a little altitude sickness, James managed to pull a ring from his pocket and ask Lui to be his wife. 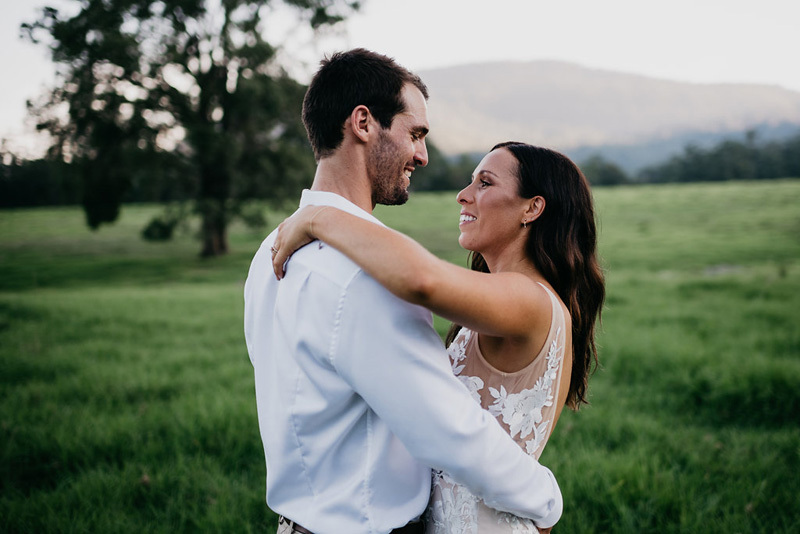 The pair were able to truly embrace the moment, with no Wi-Fi or reception for the few days they remained on the trek. 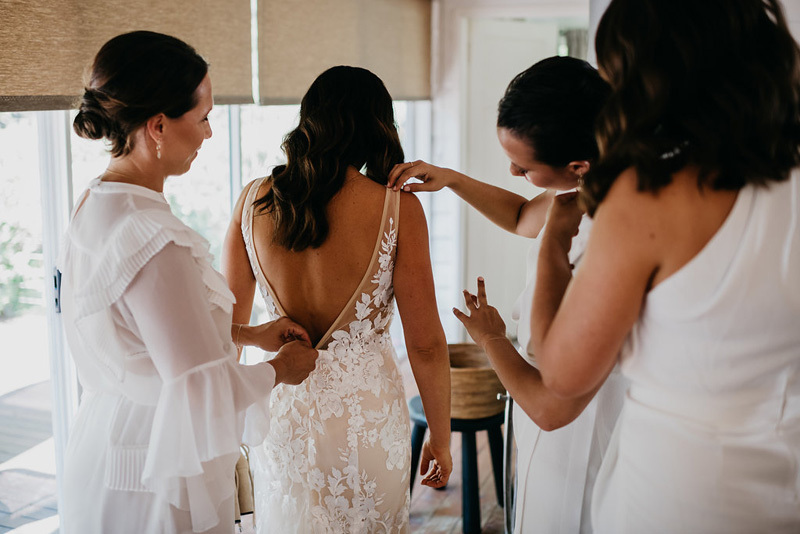 When they returned, it was straight into wedding planning mode. 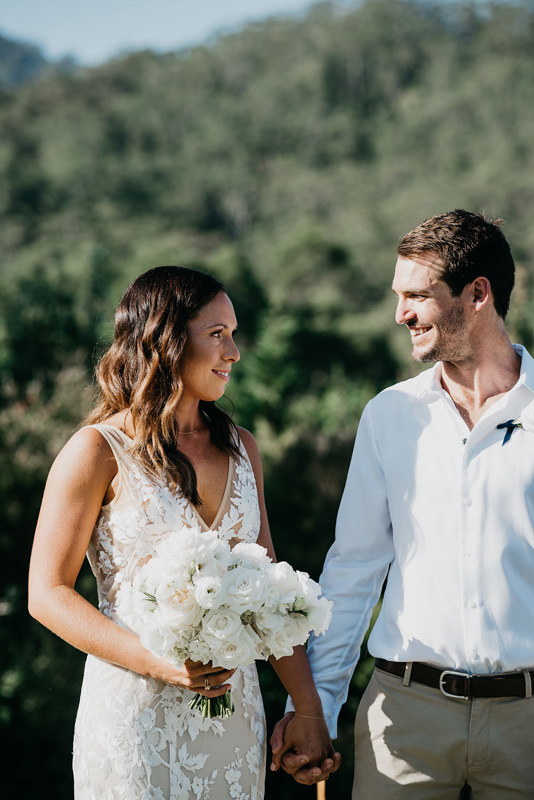 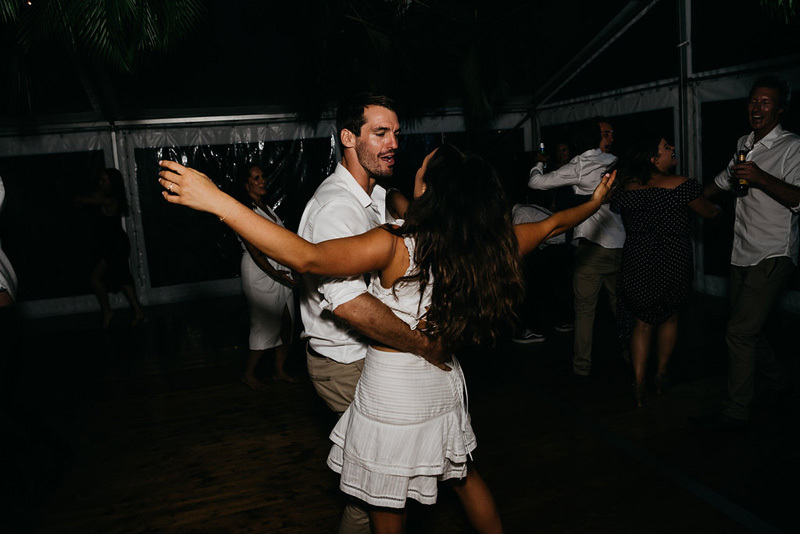 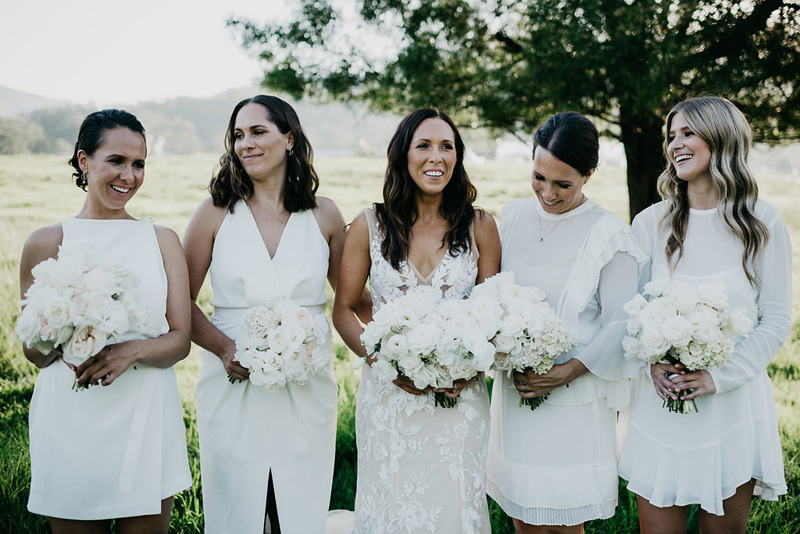 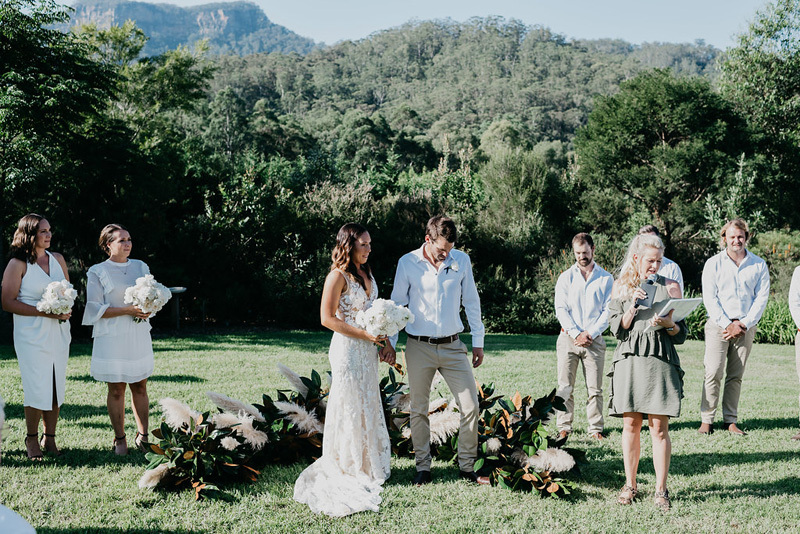 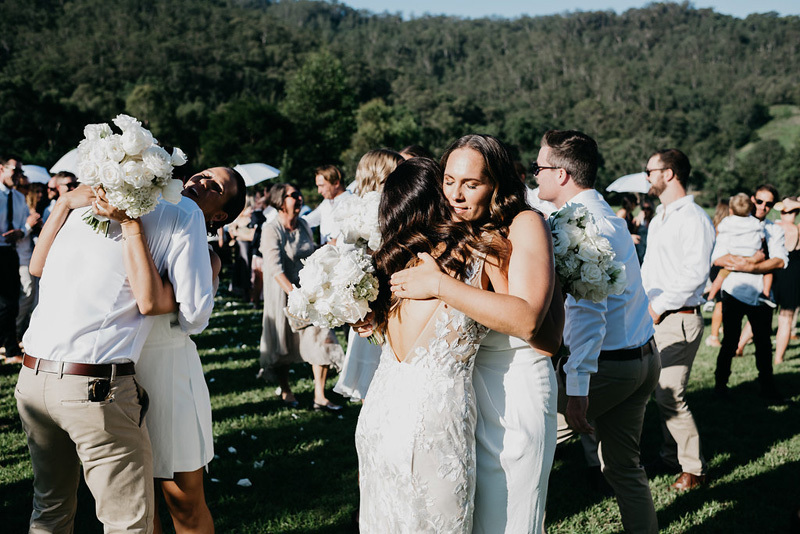 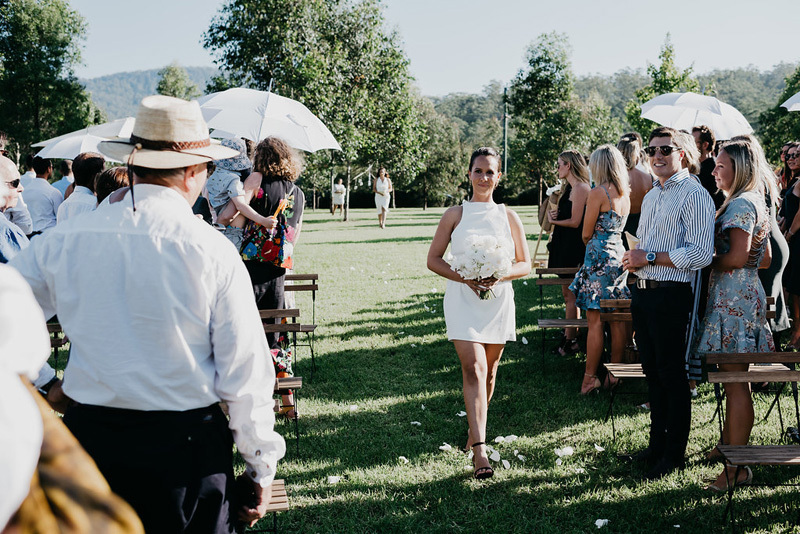 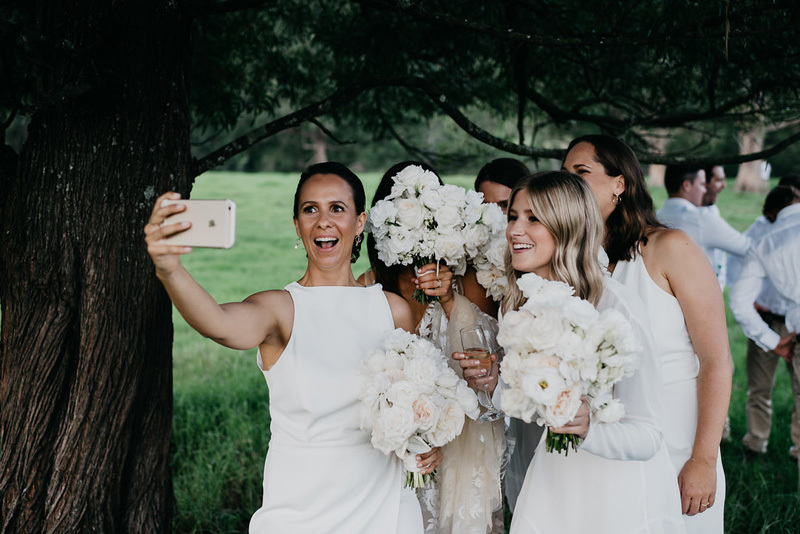 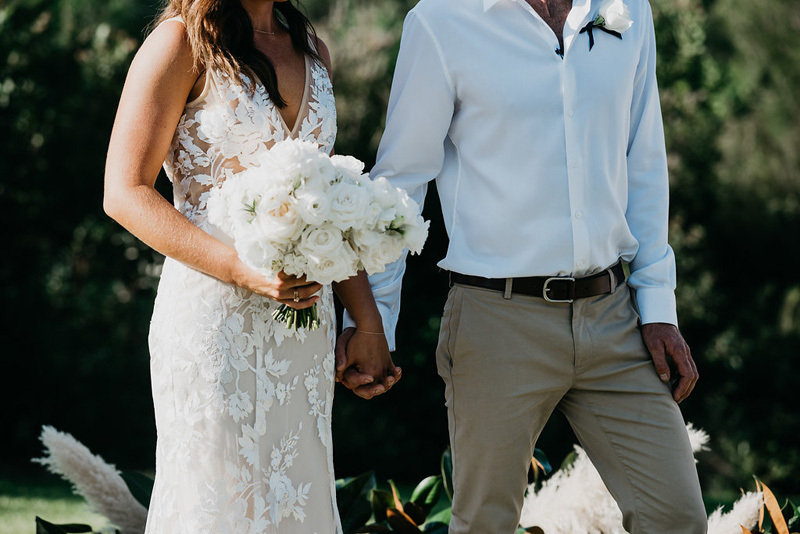 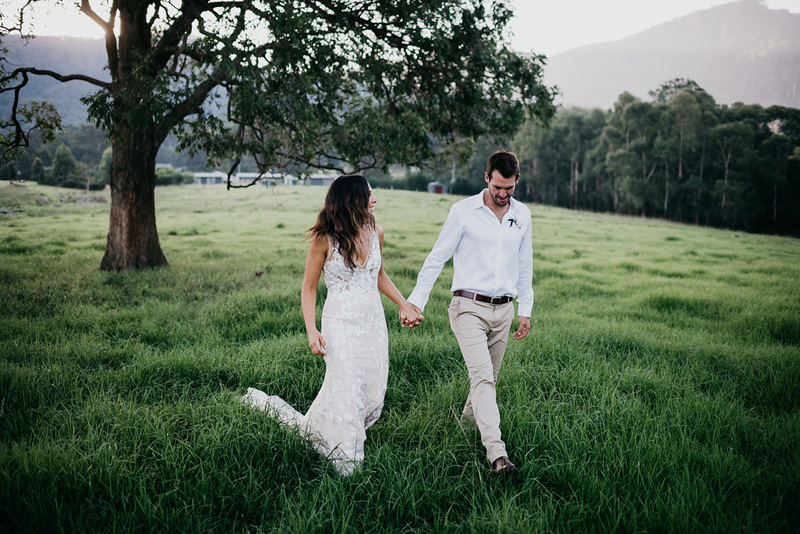 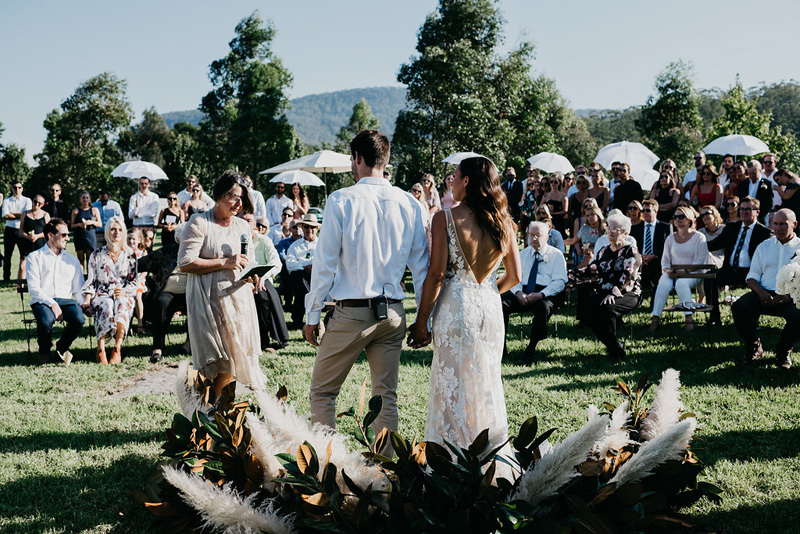 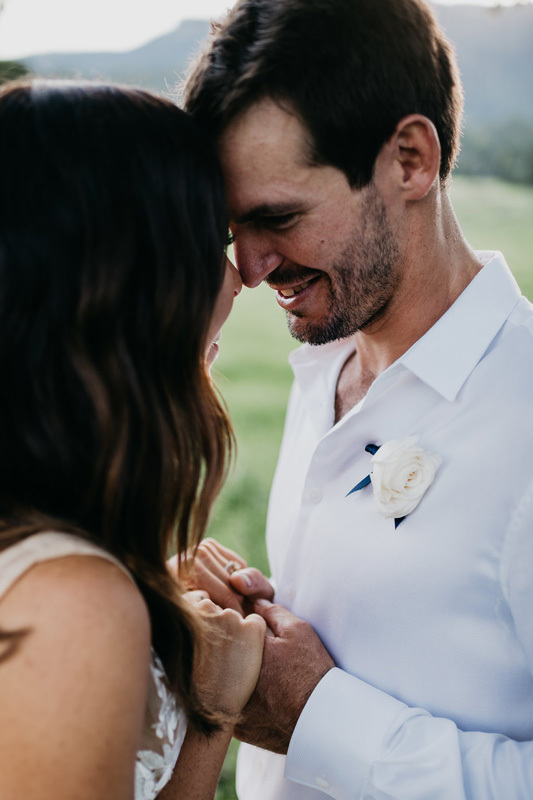 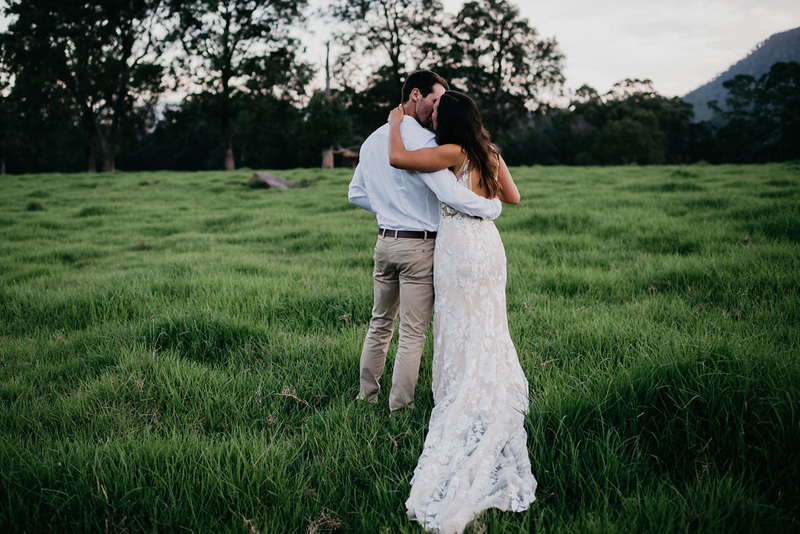 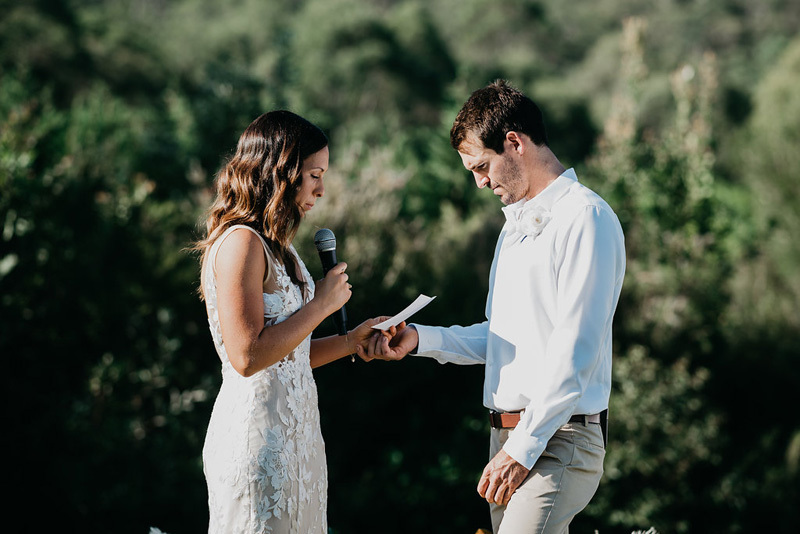 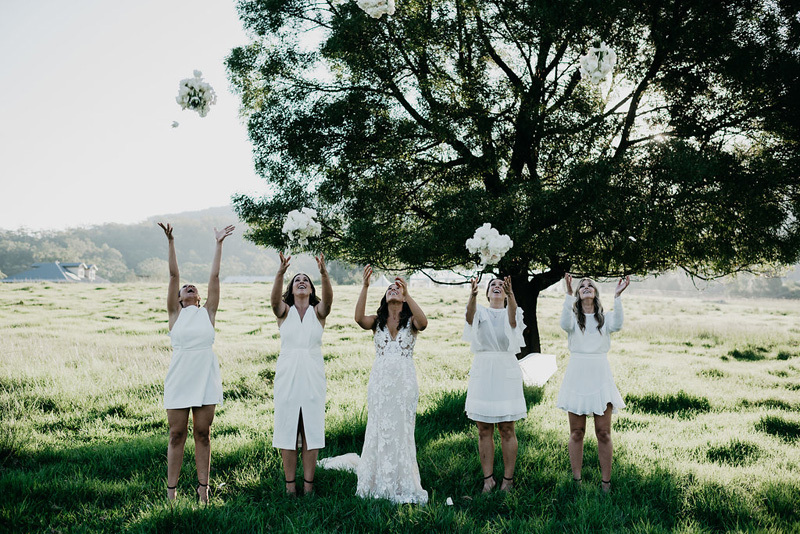 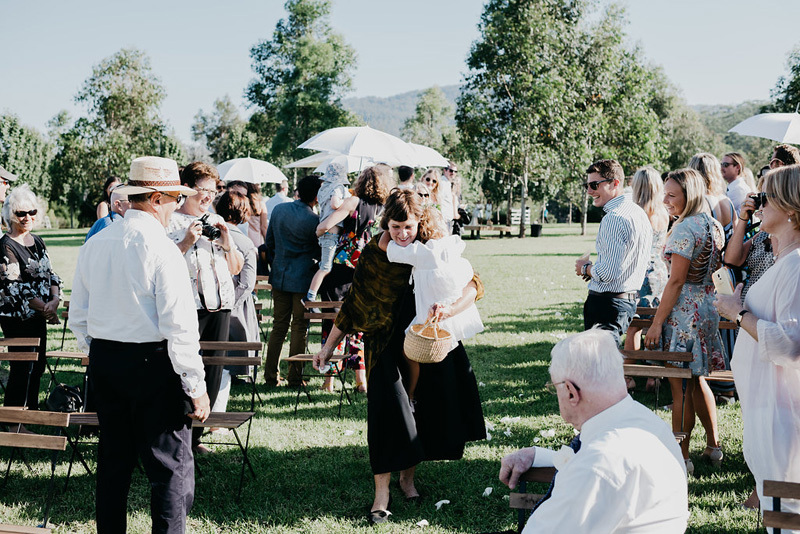 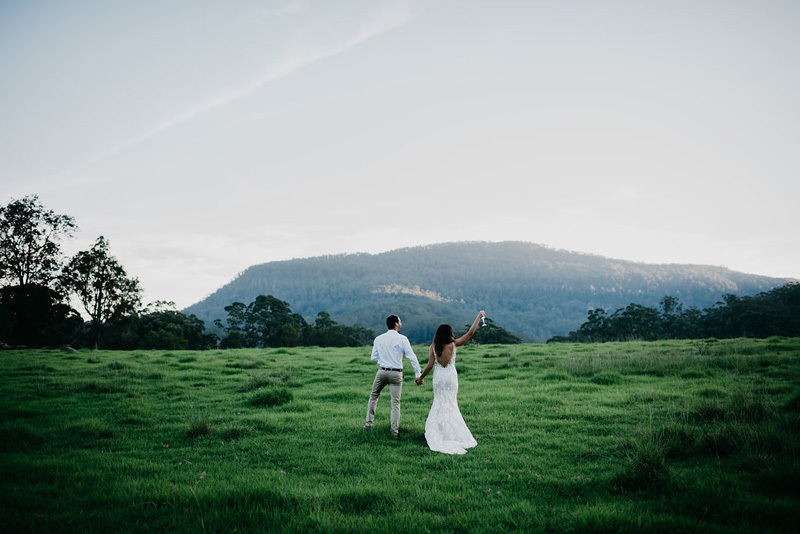 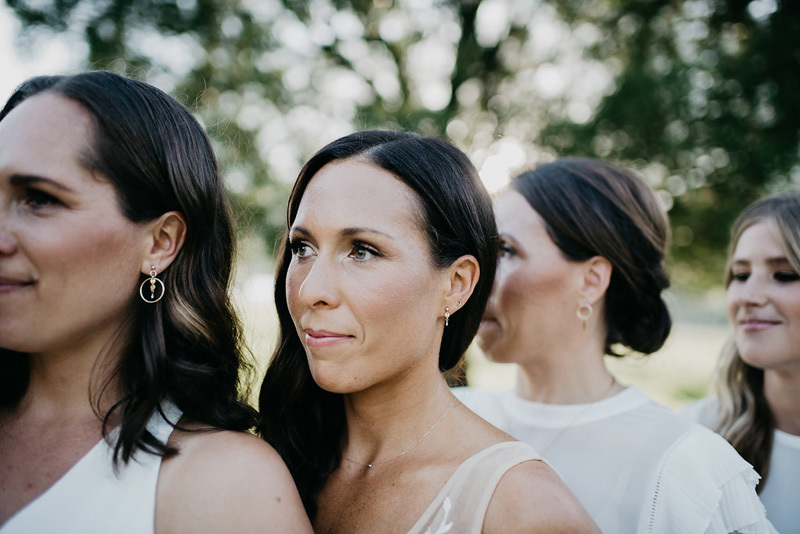 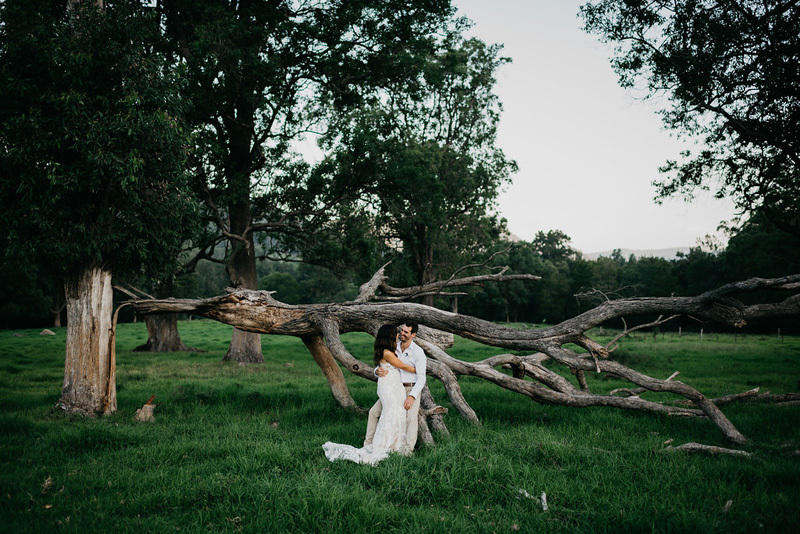 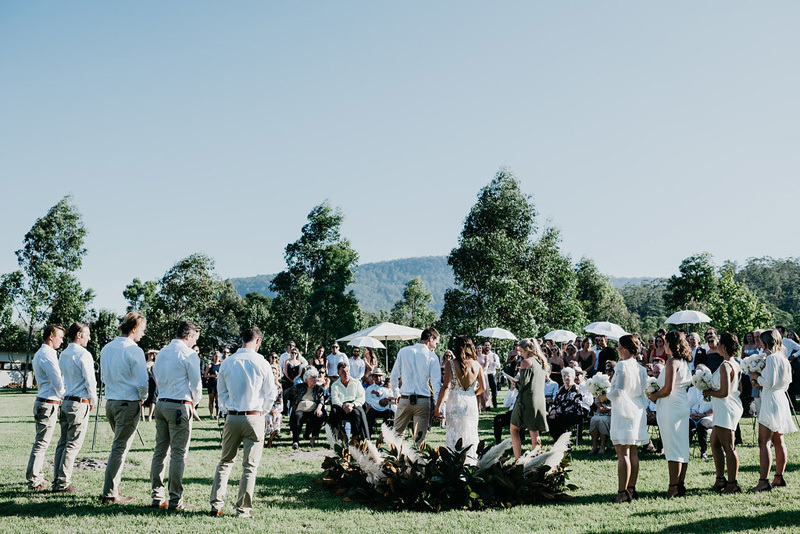 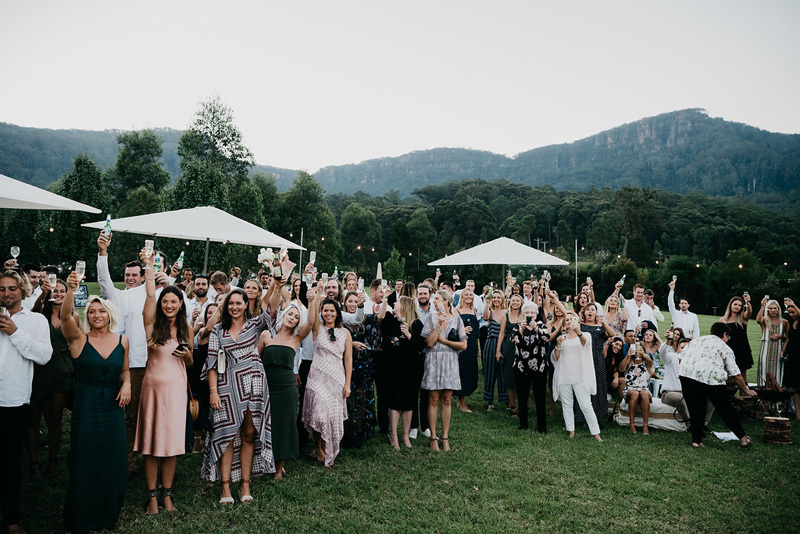 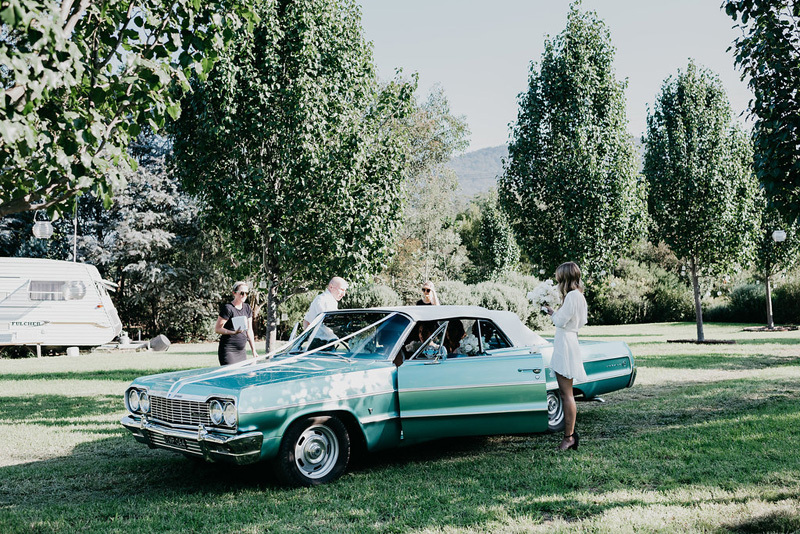 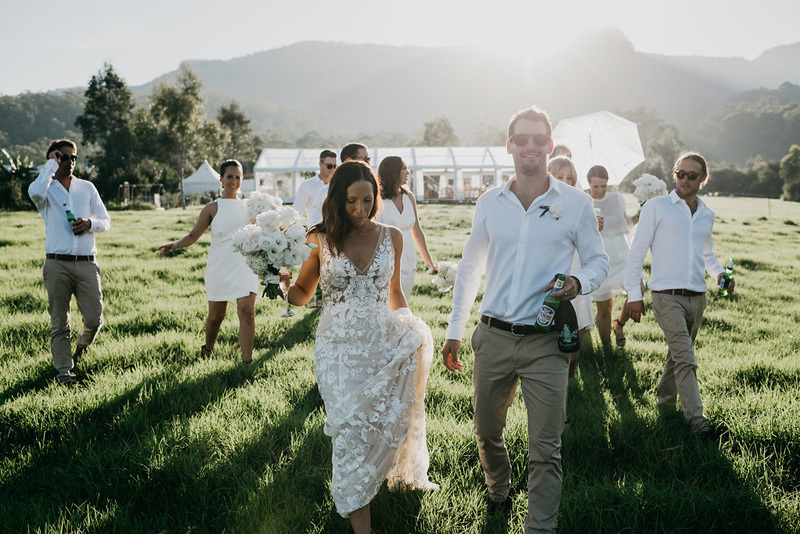 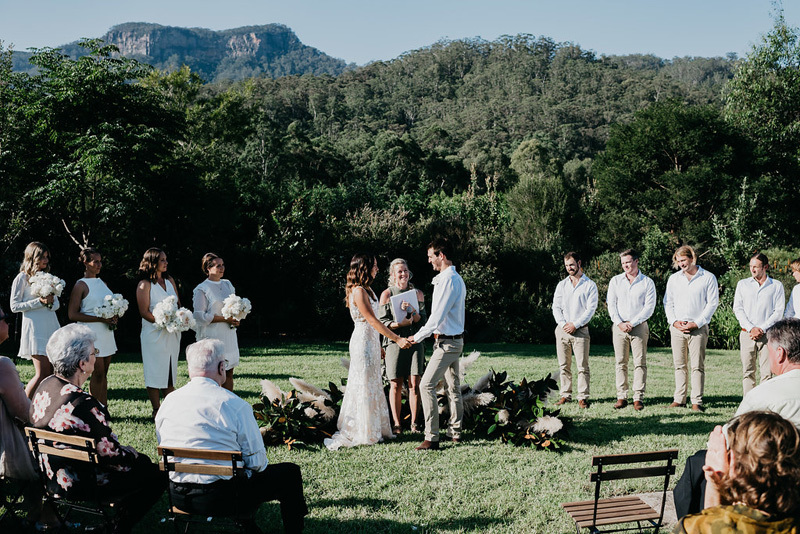 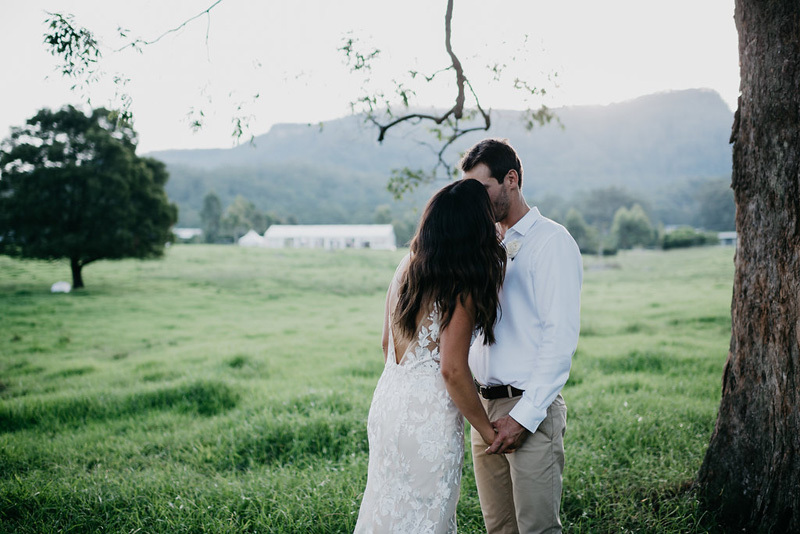 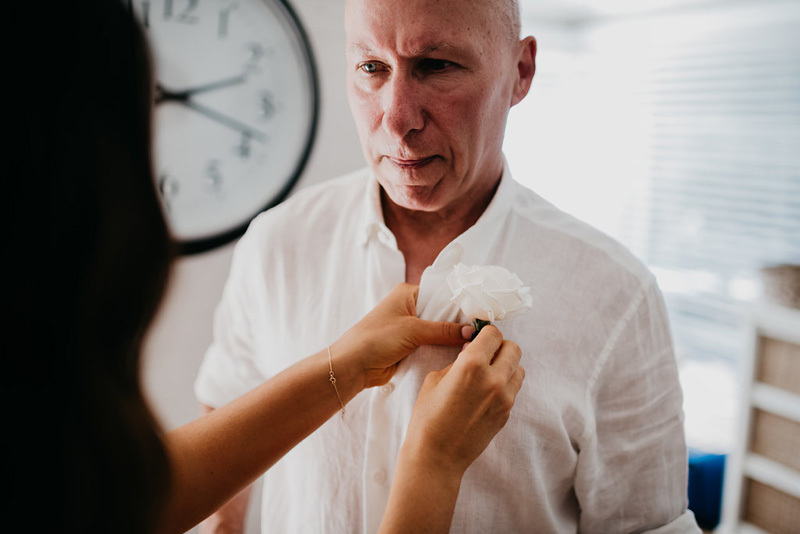 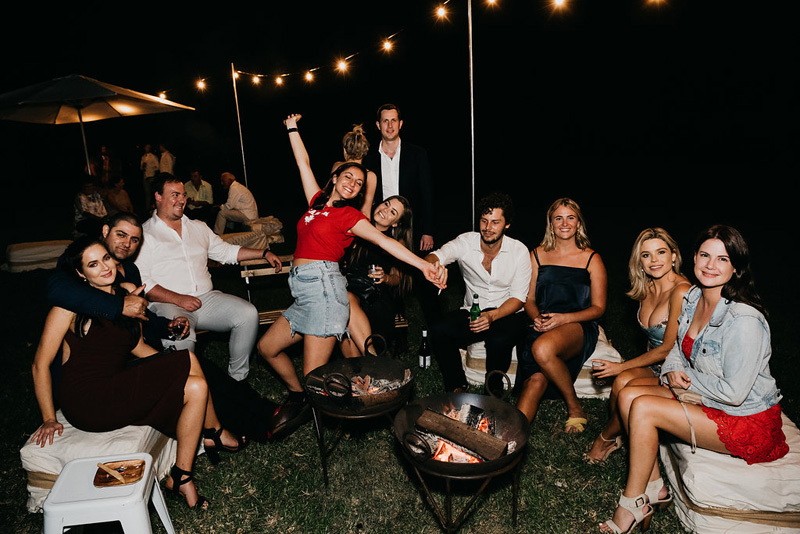 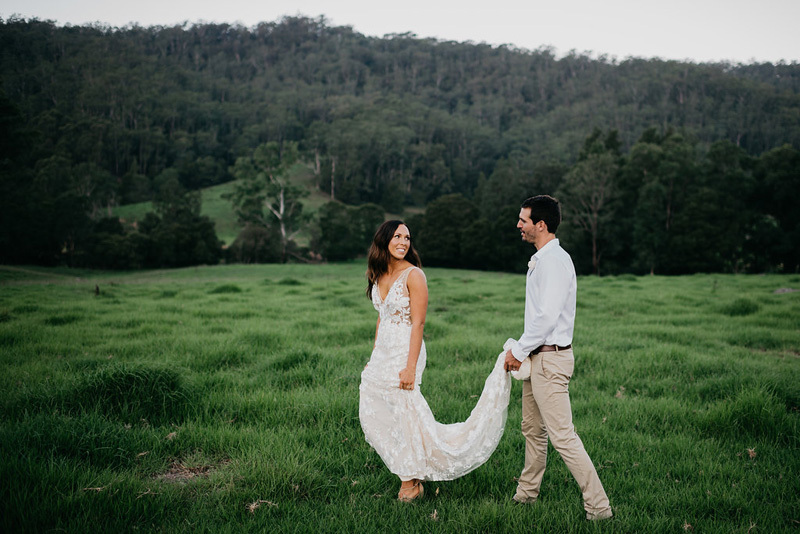 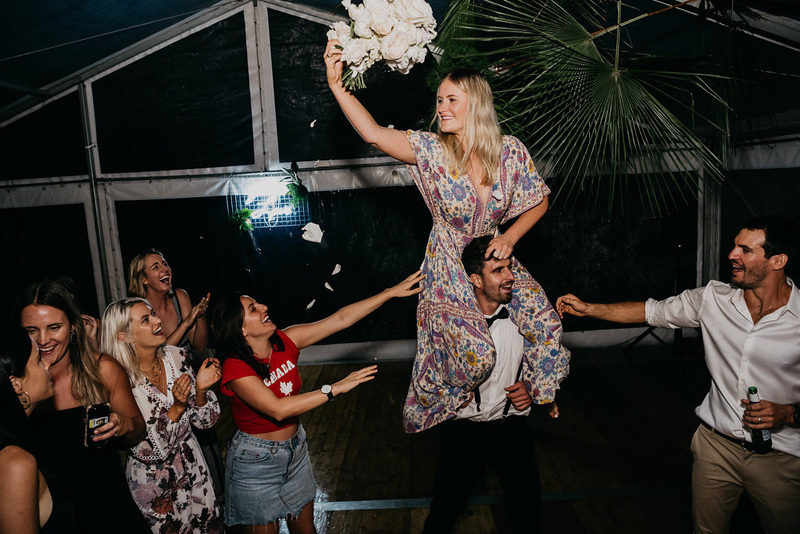 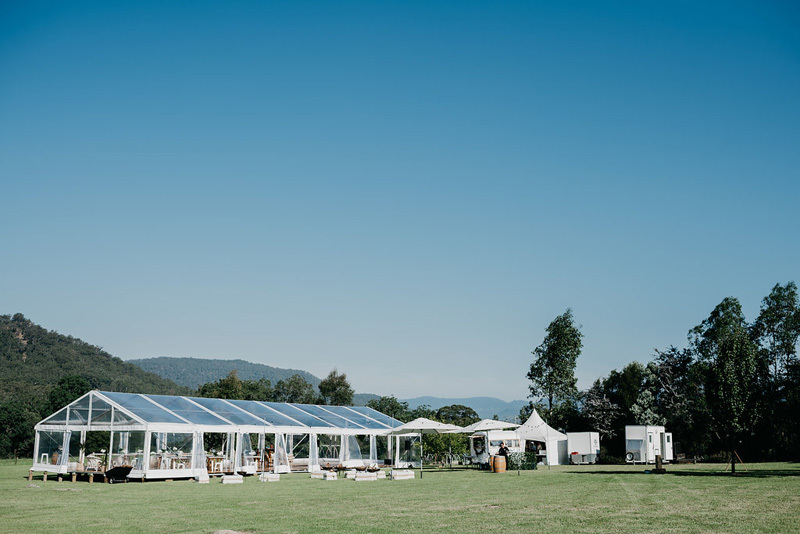 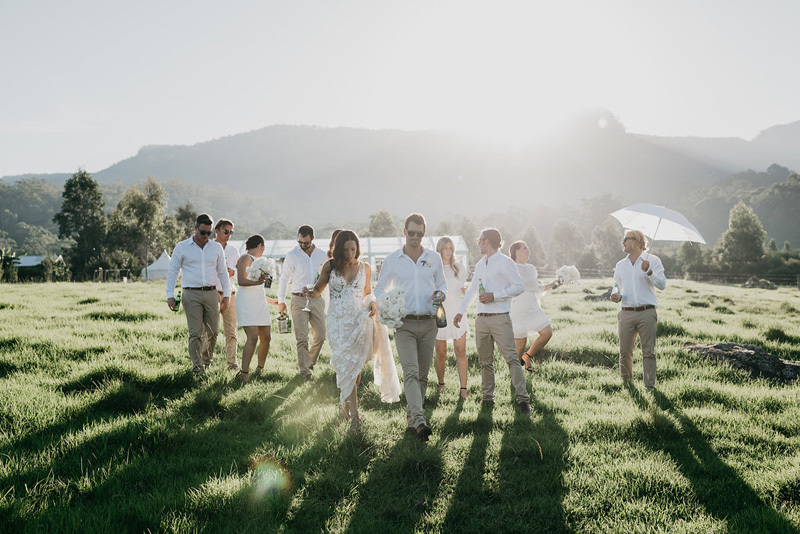 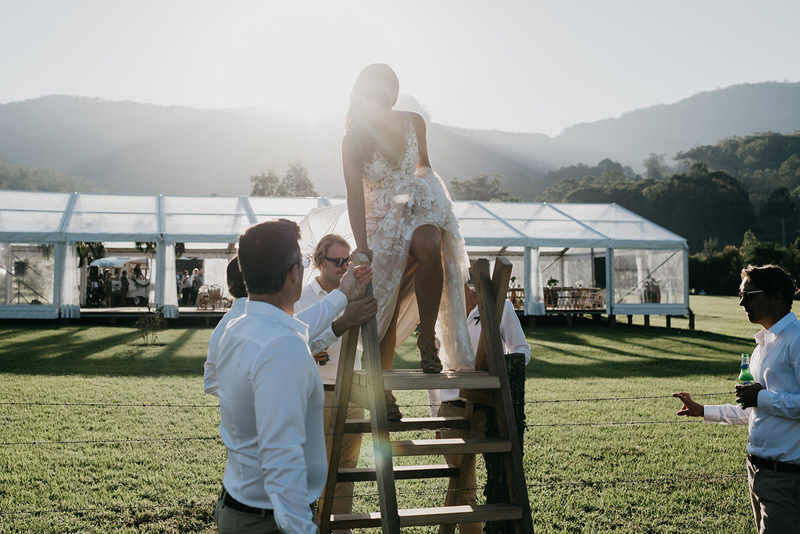 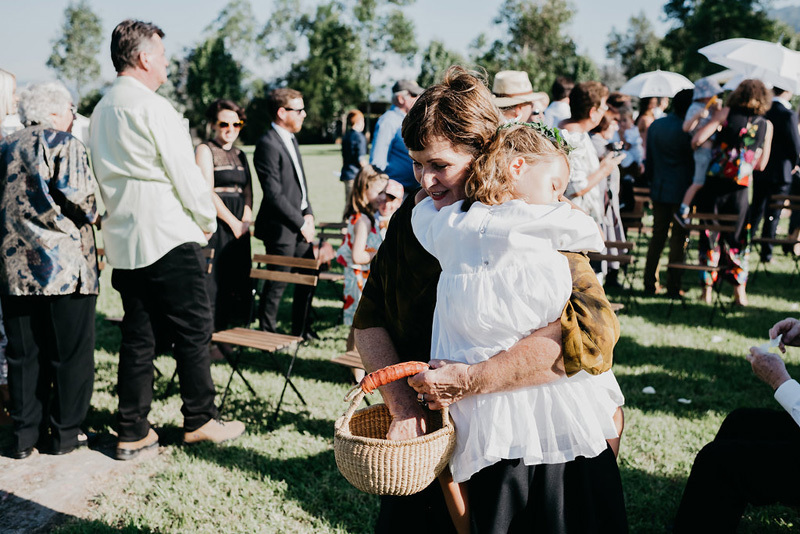 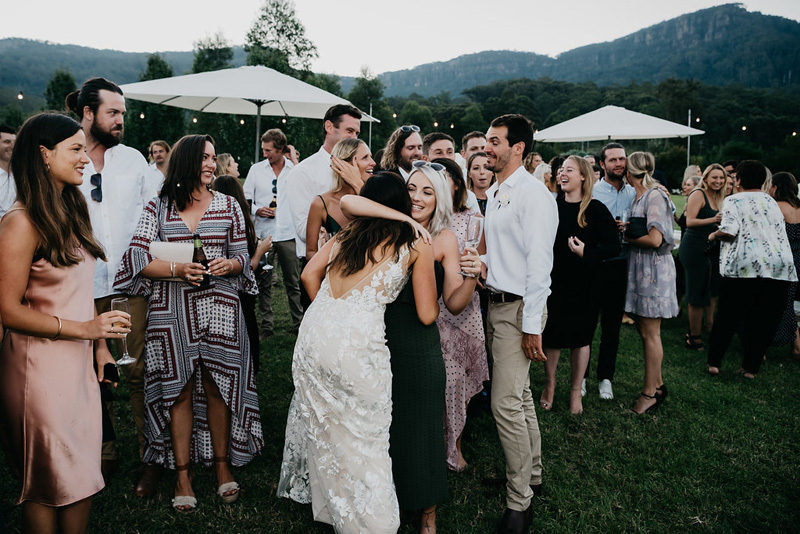 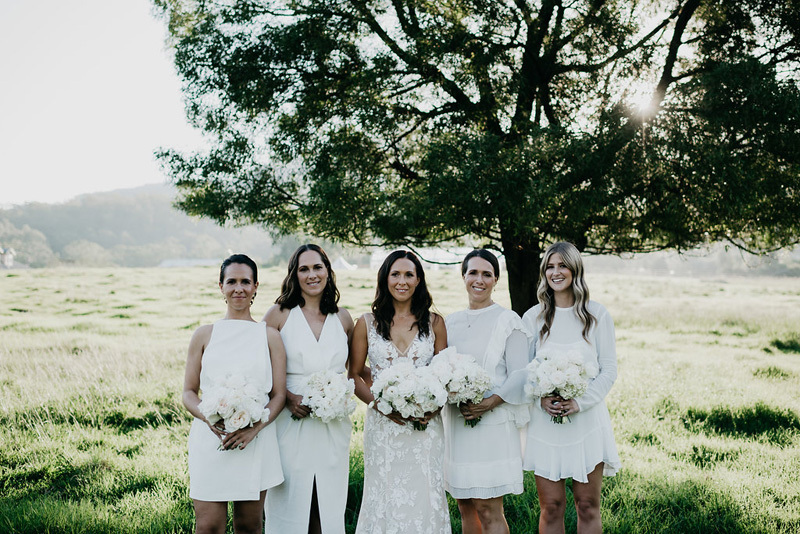 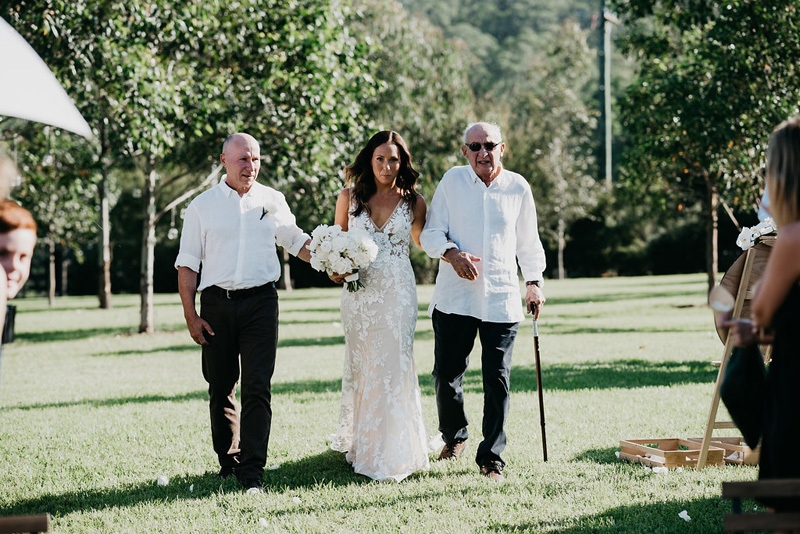 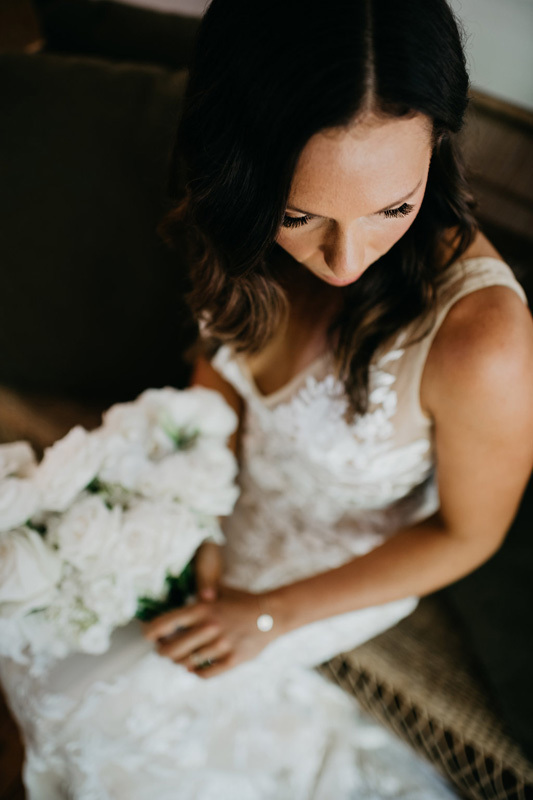 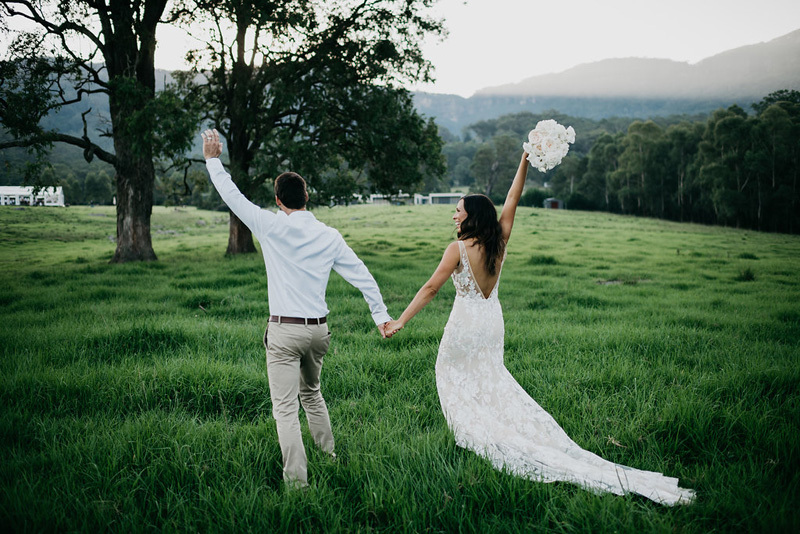 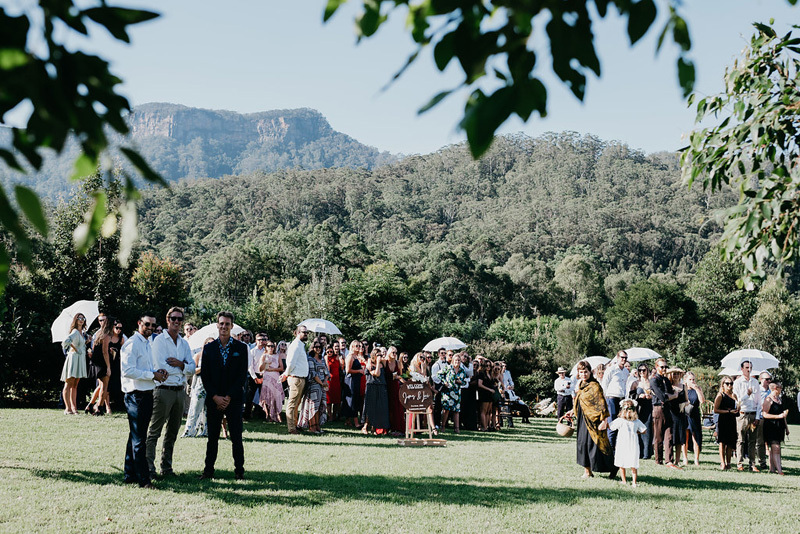 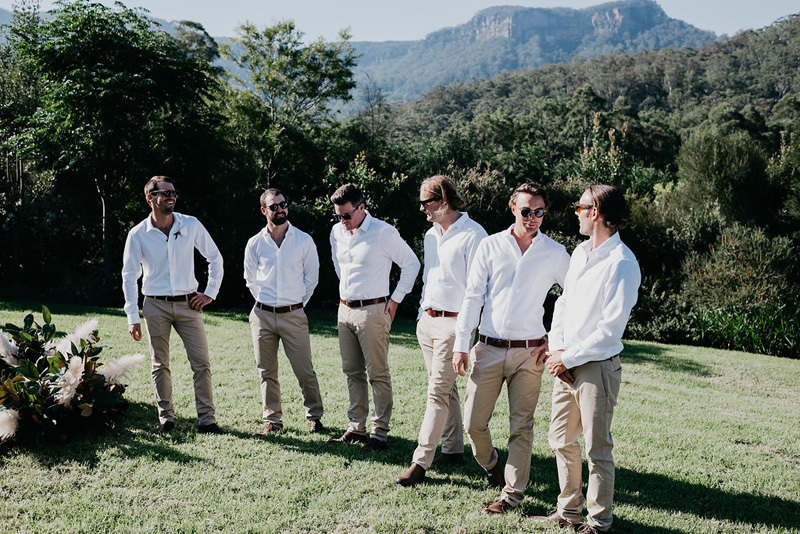 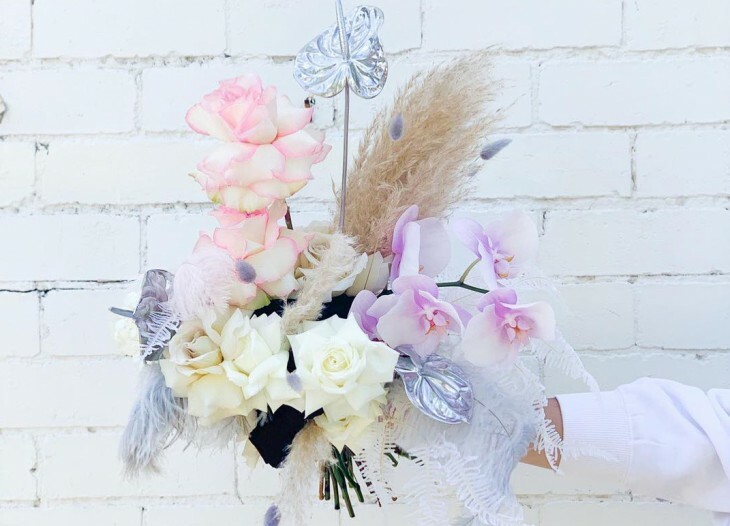 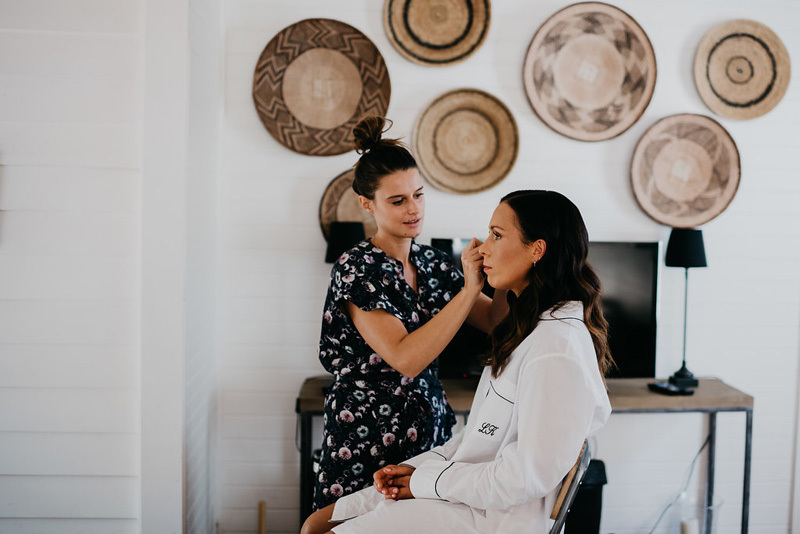 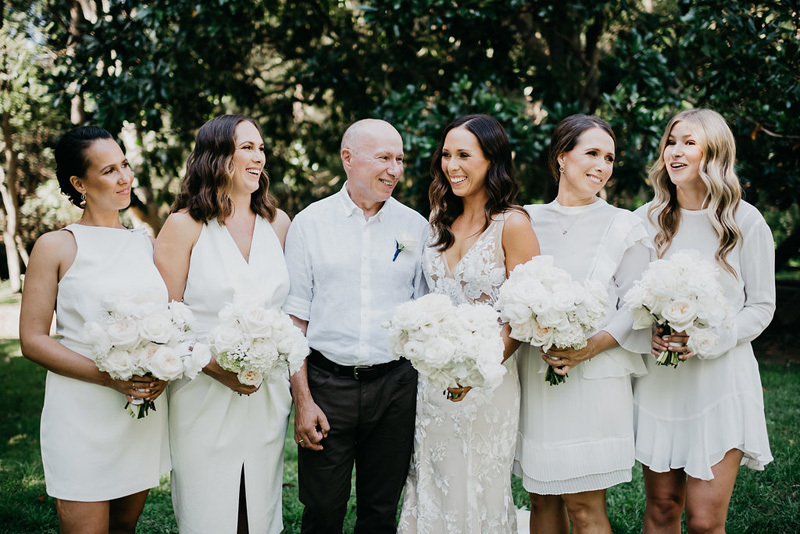 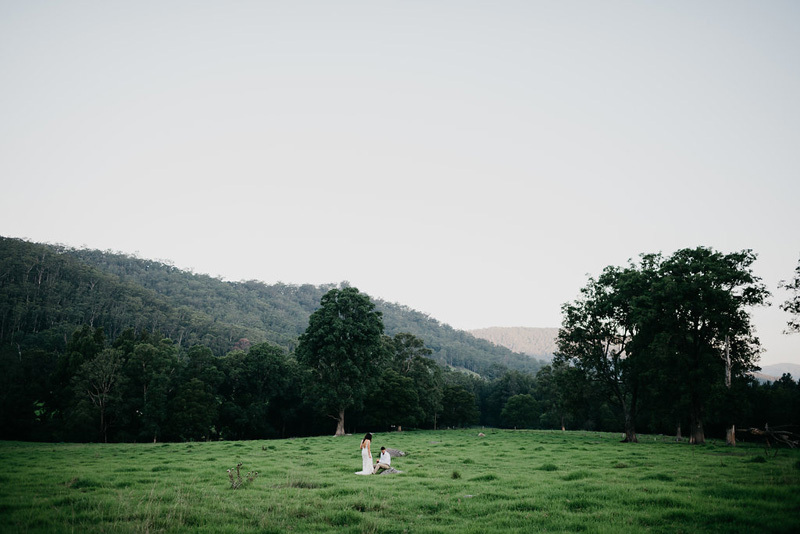 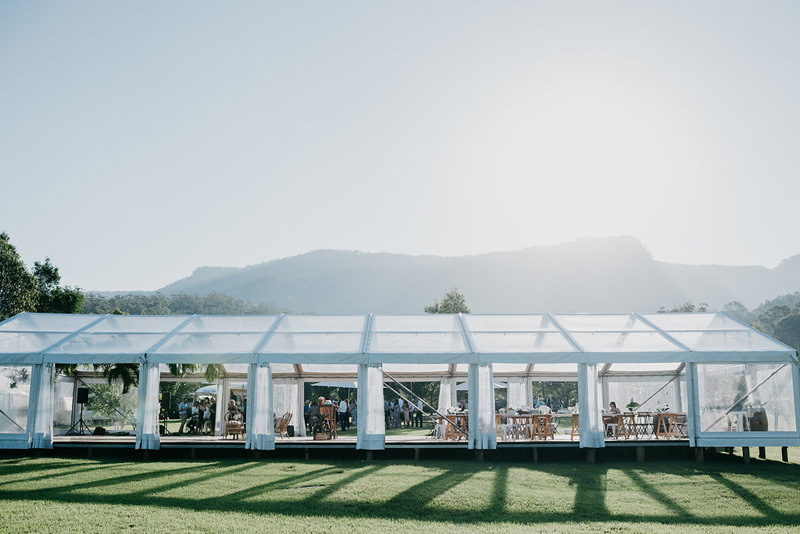 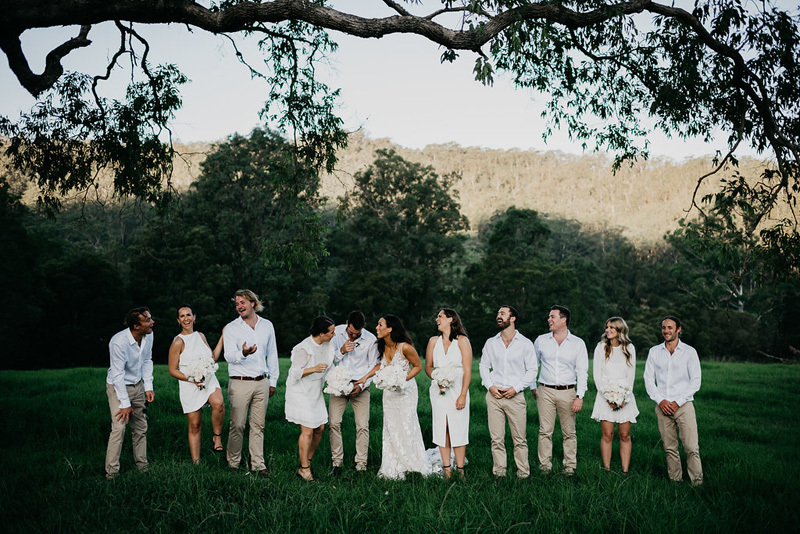 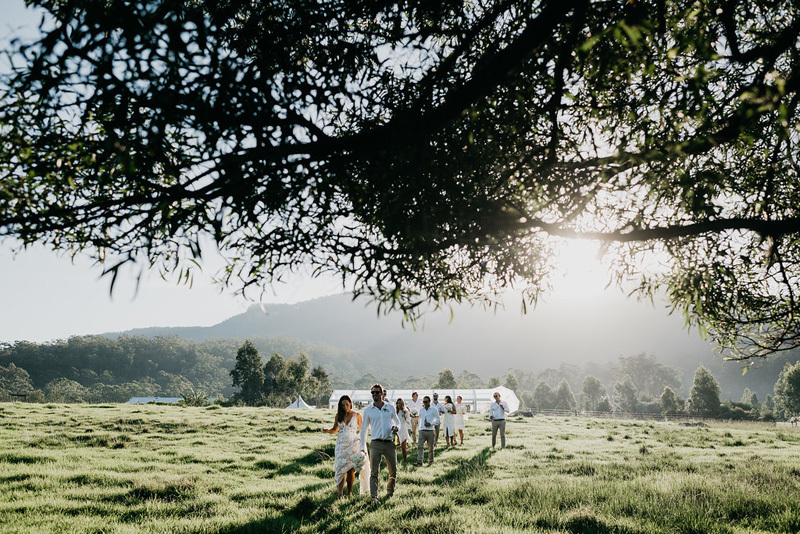 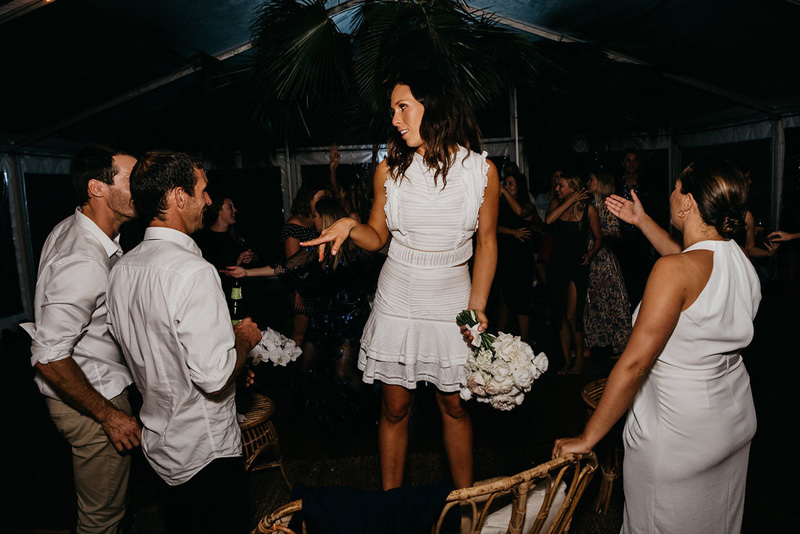 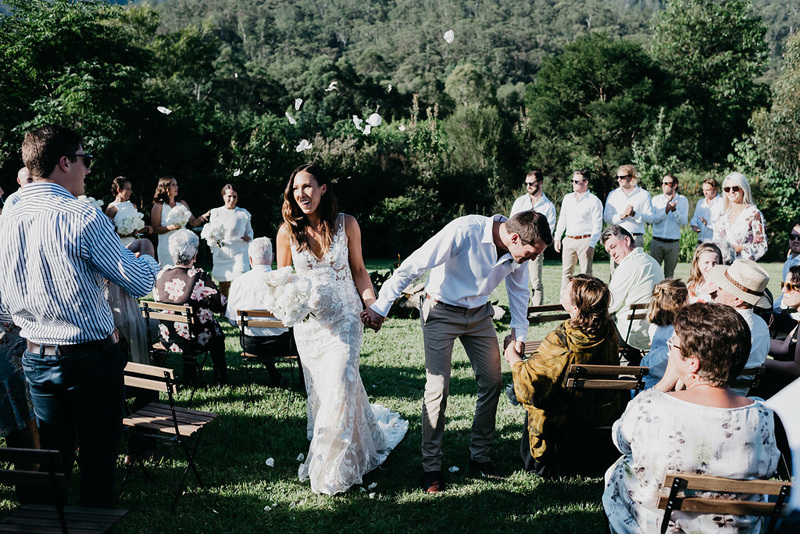 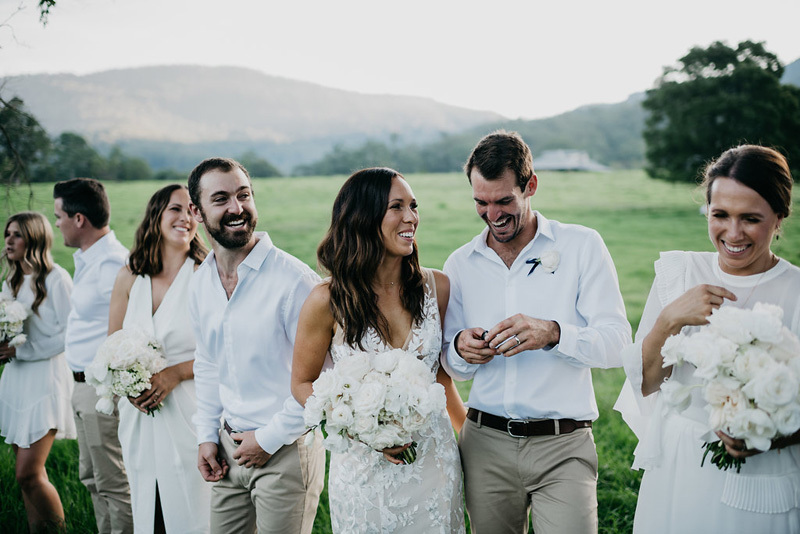 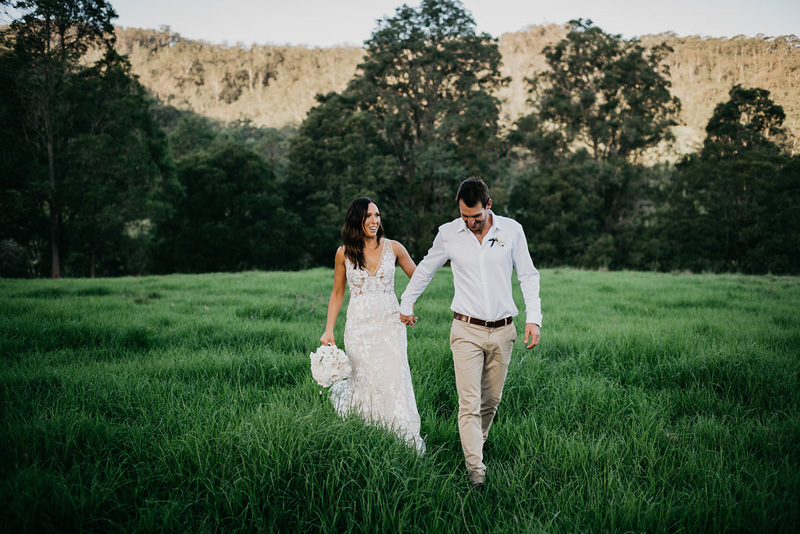 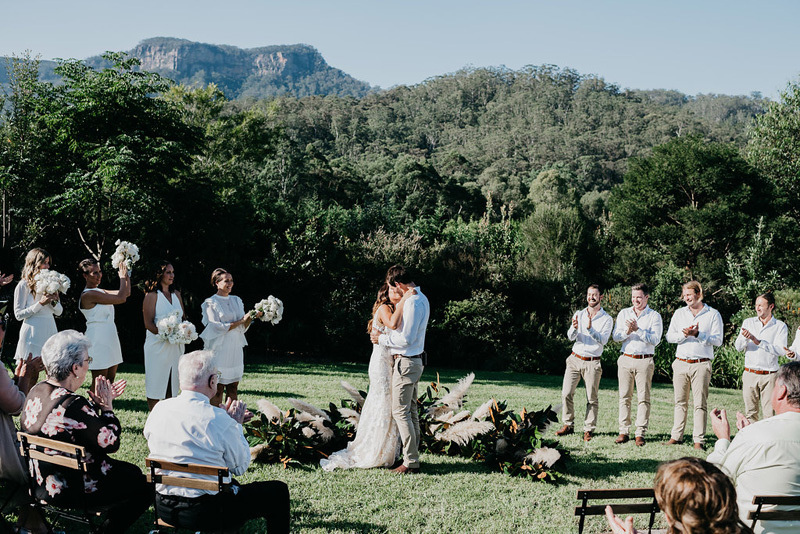 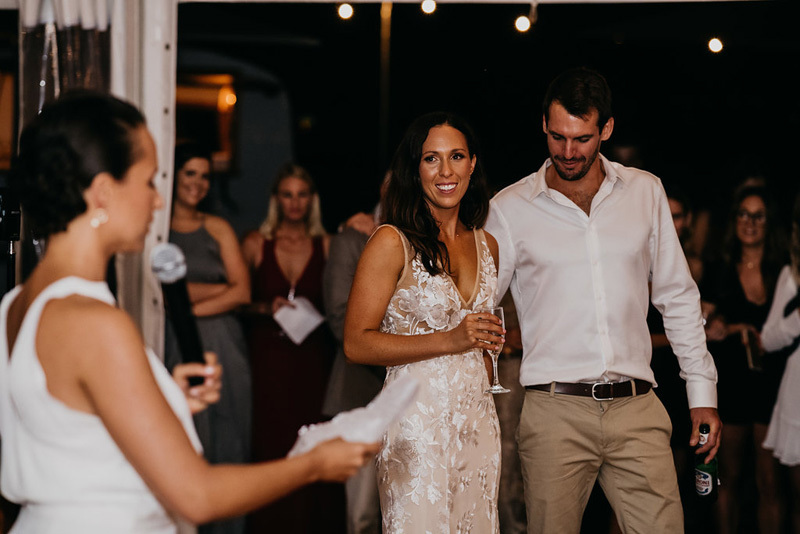 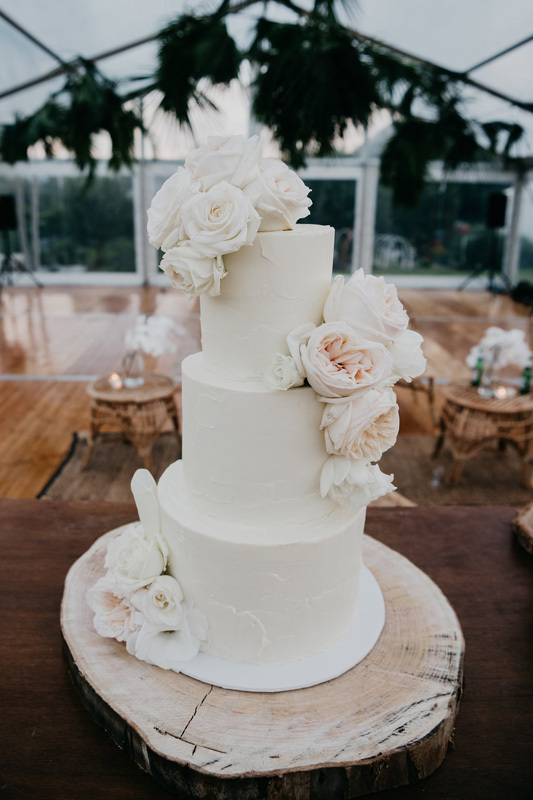 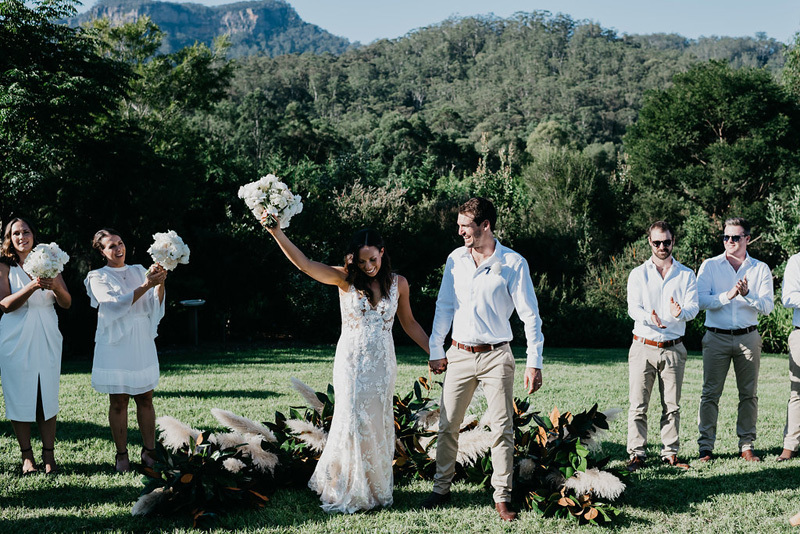 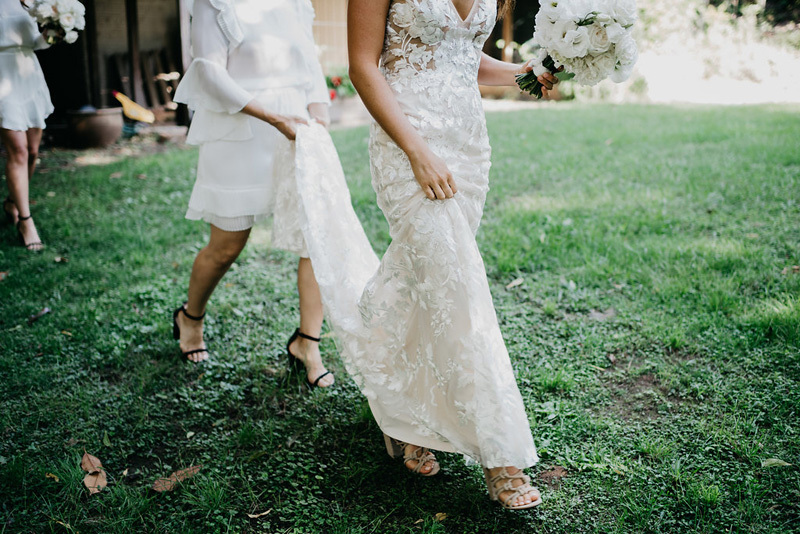 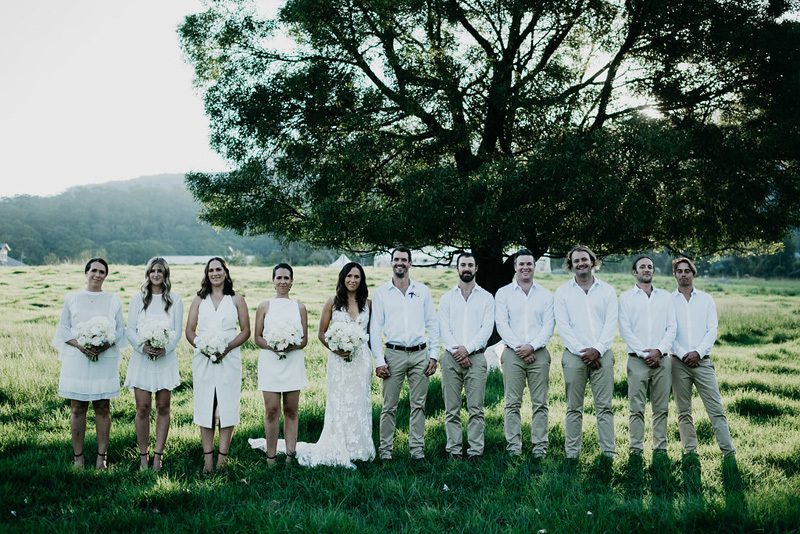 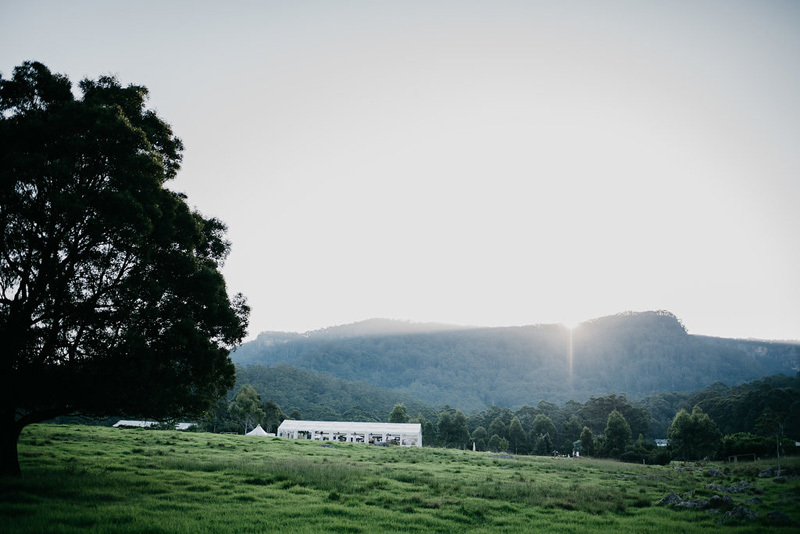 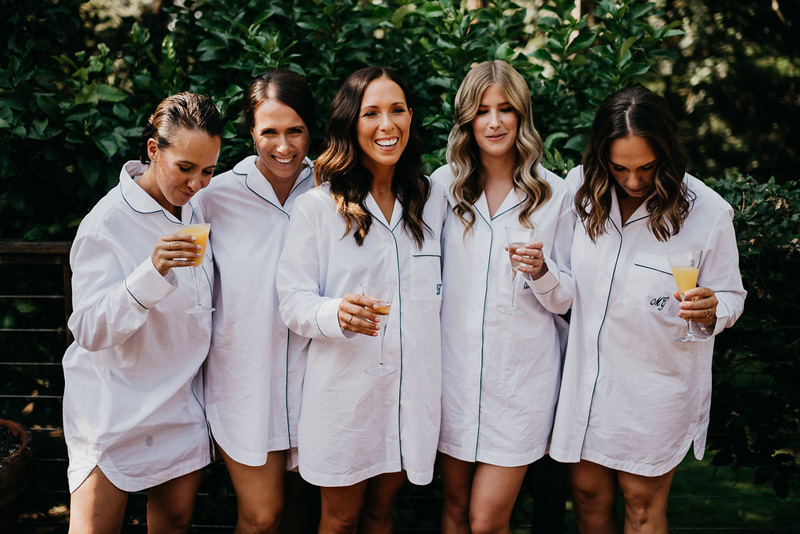 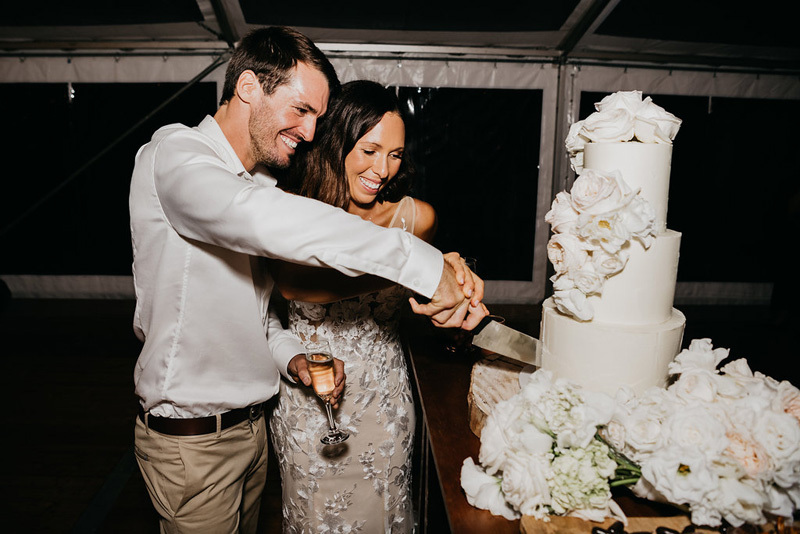 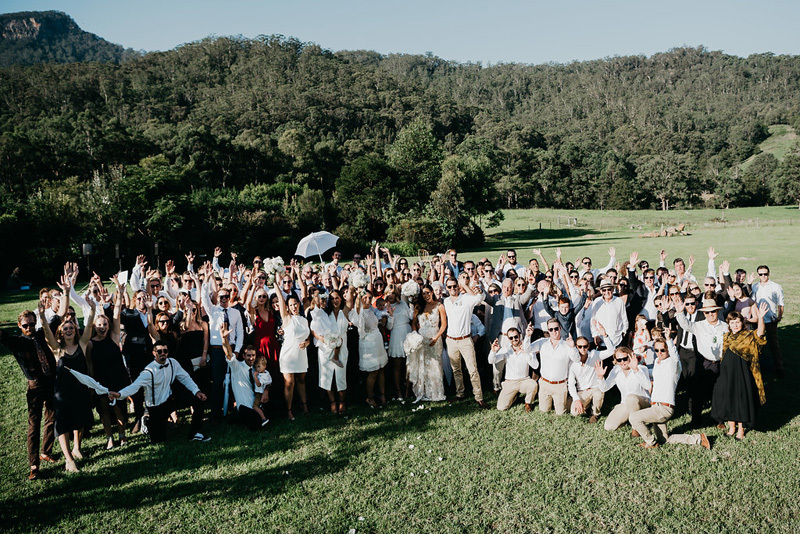 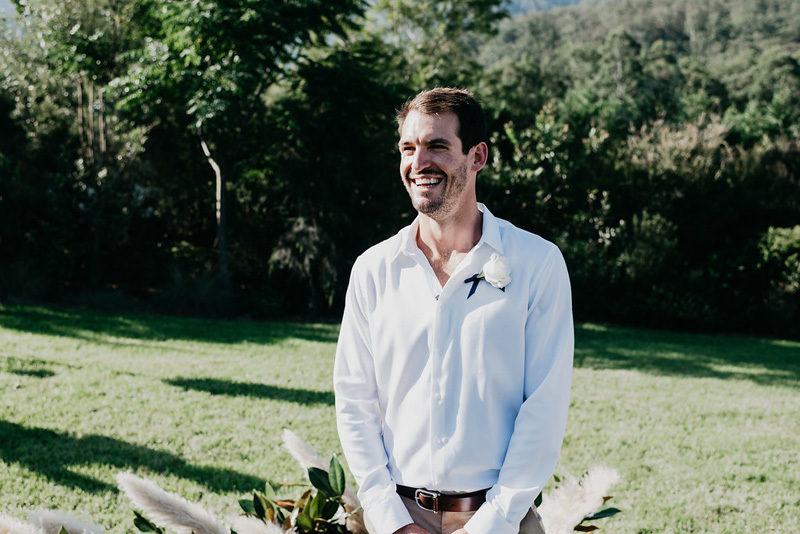 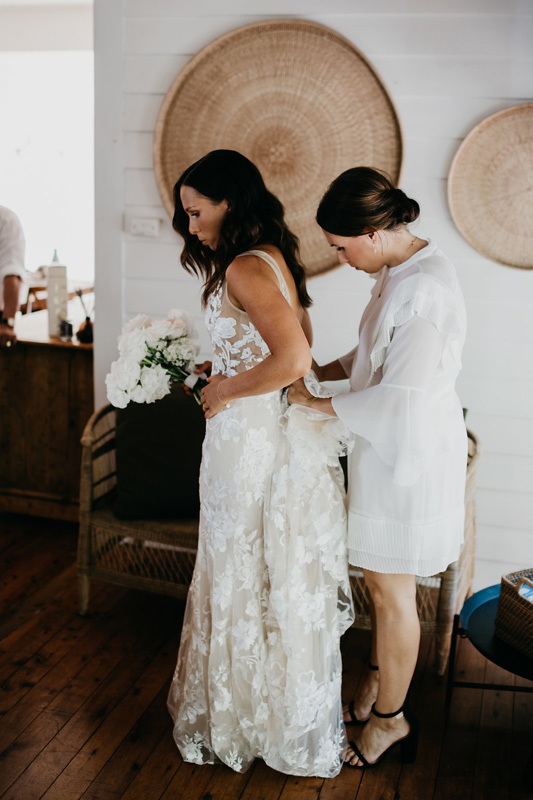 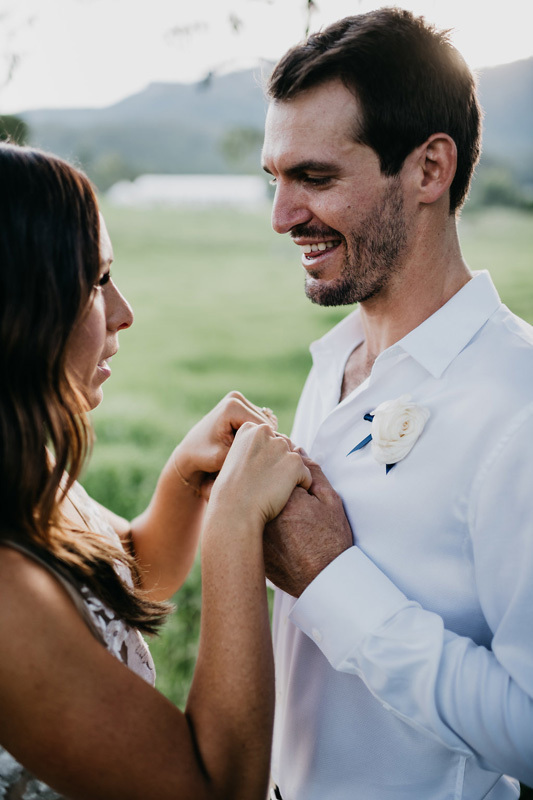 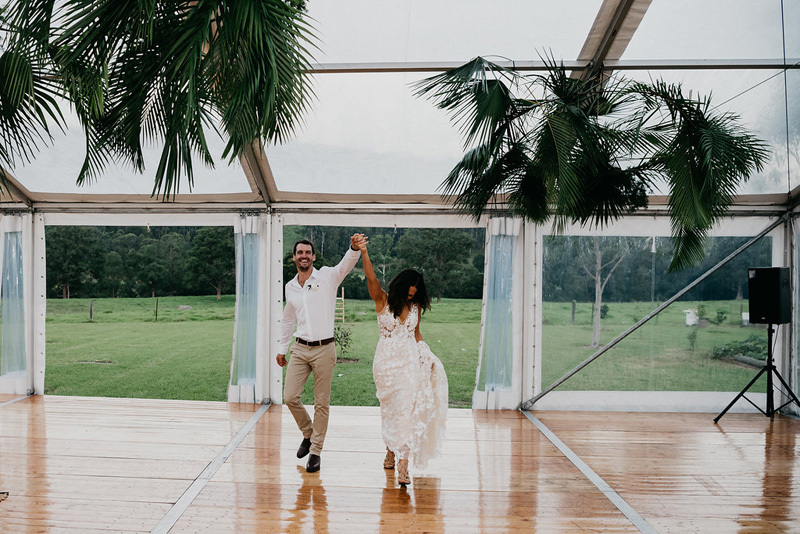 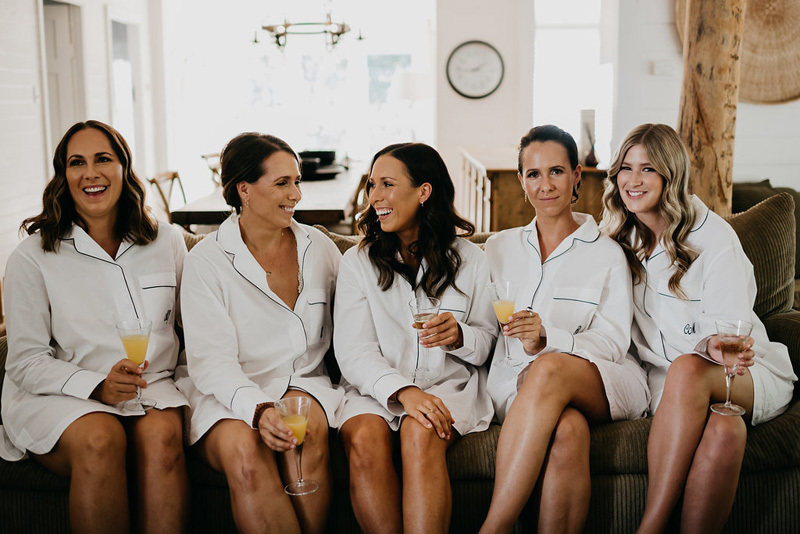 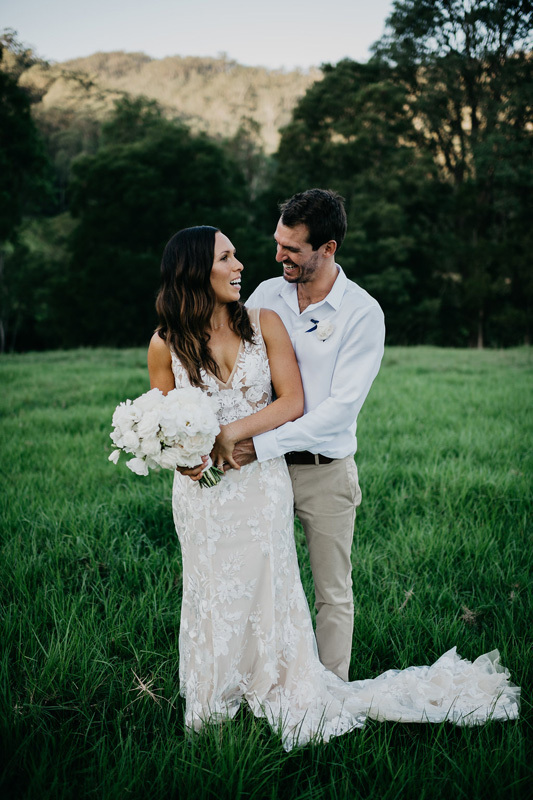 The couple decided they would use James’ parent’s property in Kangaroo Valley as the wedding venue, with a tropical-luxe, floral theme – a steer away from the predictable rustic theme that would normally be associated with a farm-like setting. 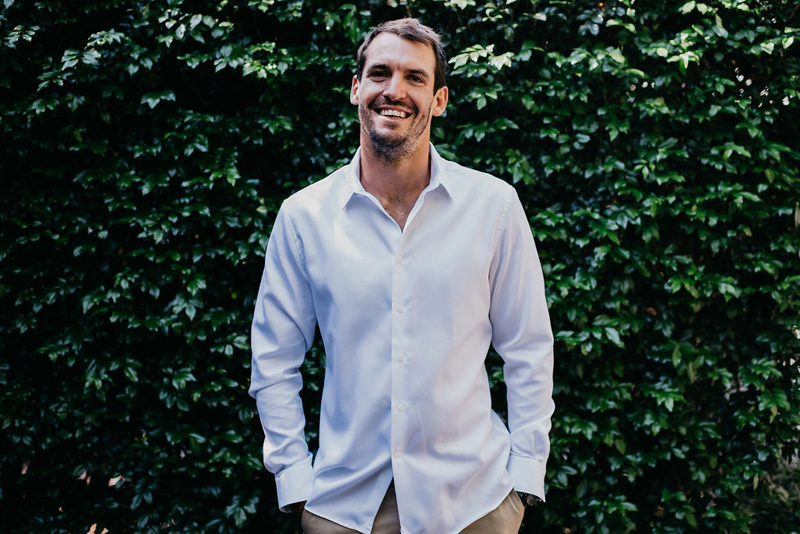 “I wanted something that we would look back and not have a little vomit at how dated it was…even though that could still happen,” says Lui. 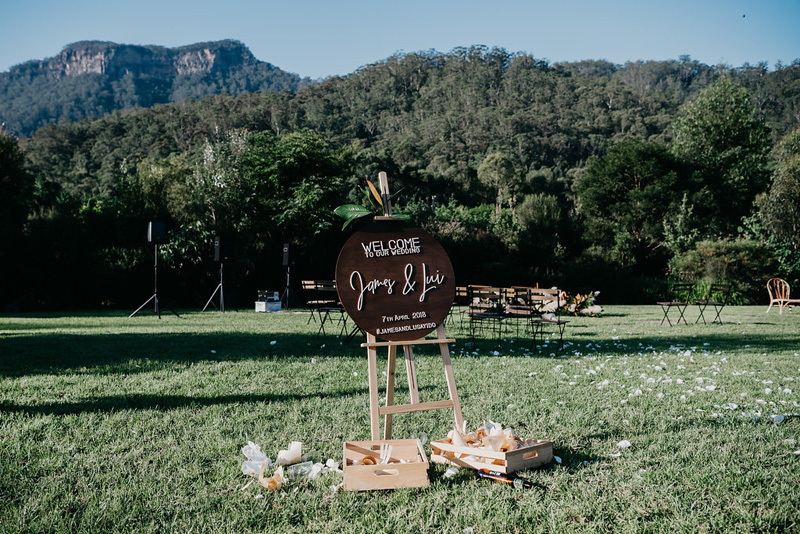 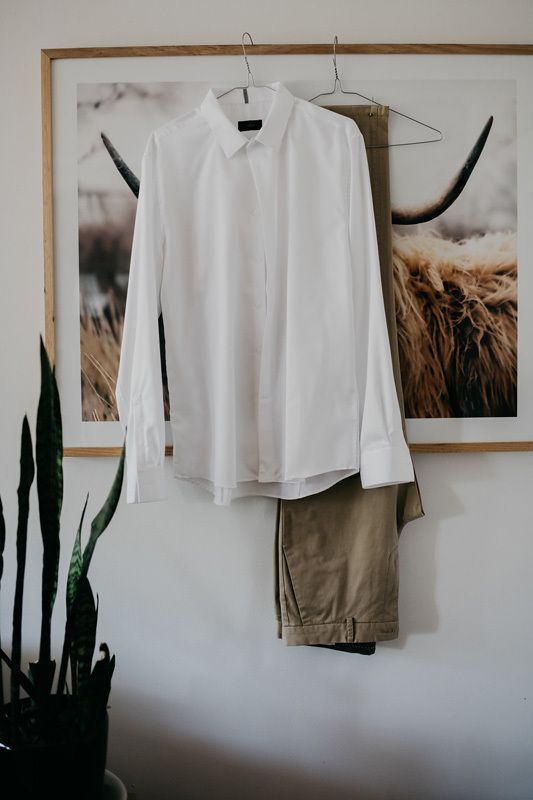 Lui used the surrounding landscape to set the tone for the wedding, with a colour palette of white and green, working alongside natural wooden textures. 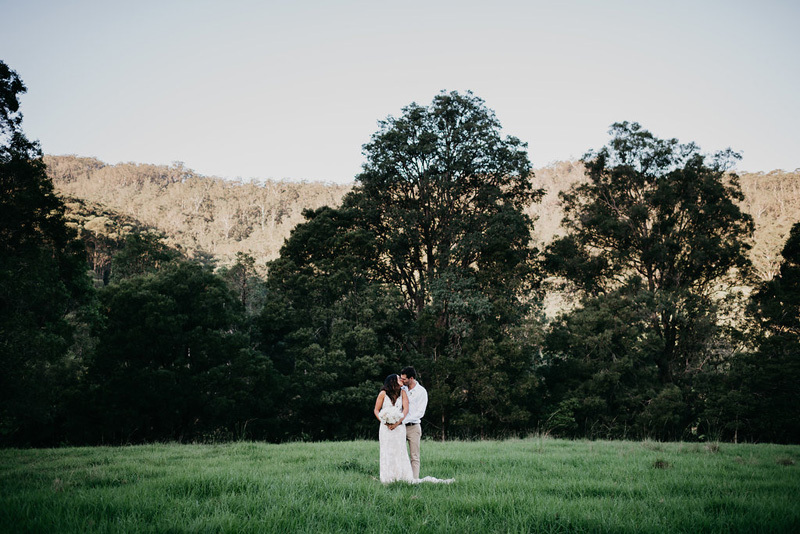 “When you have a location like ours, I feel less is definitely more,” explains Lui. 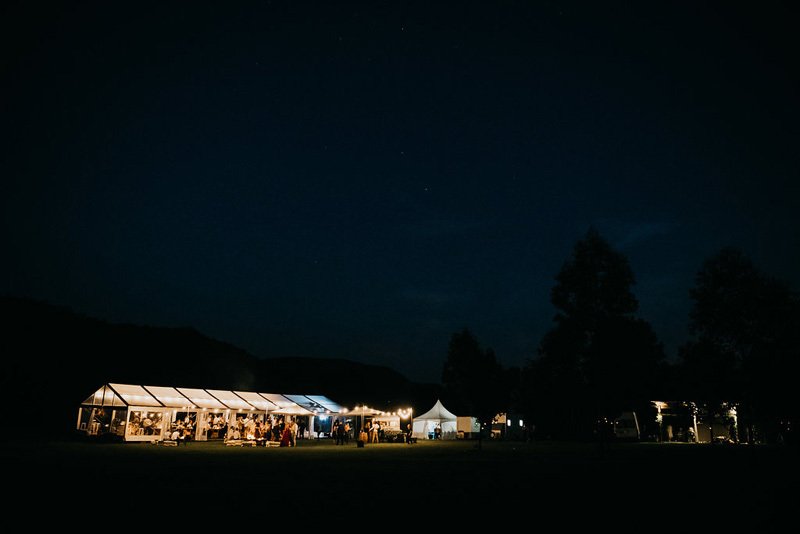 Situated outside the clear marquee was the caravan bar, festoon lights, fire pits and hay bales covered with throw rugs. 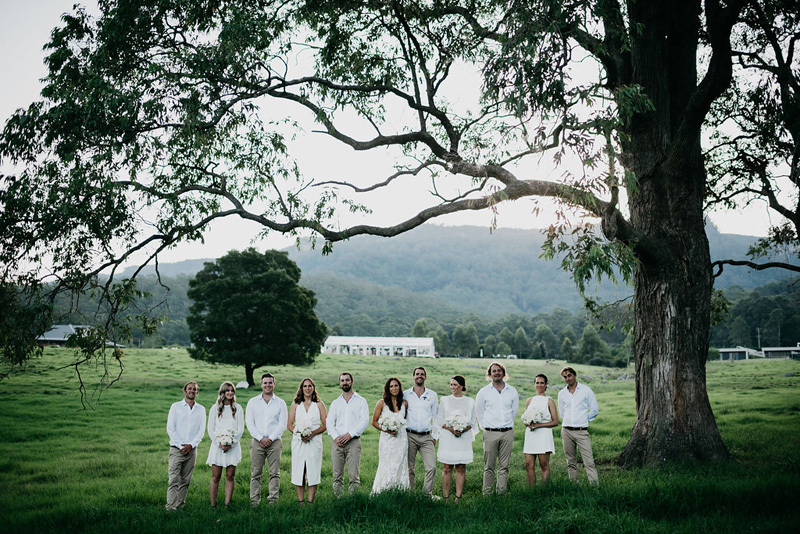 Tea light candles were also strung up in the trees that lined the driveway at the entrance of the property. 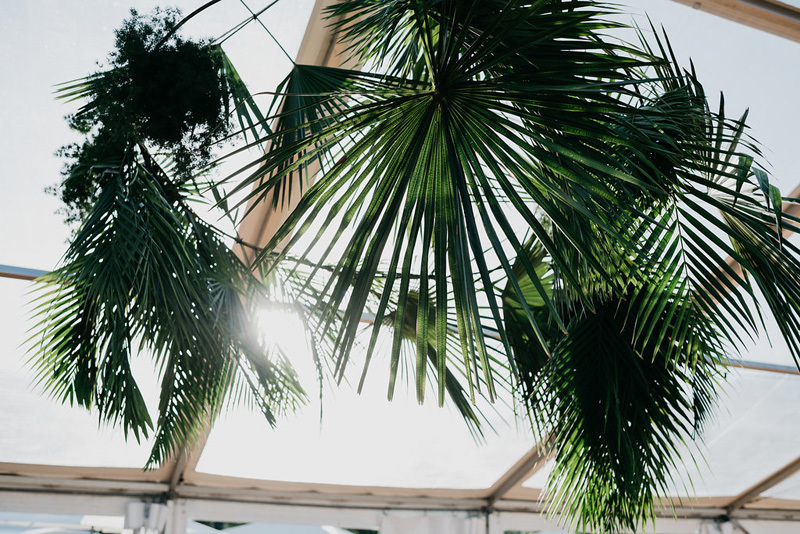 Inside saw an enormous tropical installation hanging over the dance floor. 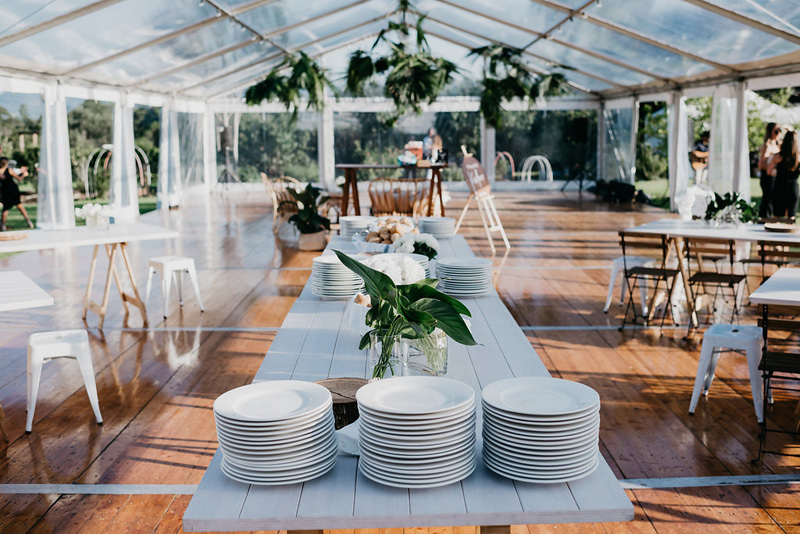 There was also plenty of florals and greenery scattered throughout the venue as well as some indoor plants the couple hired. 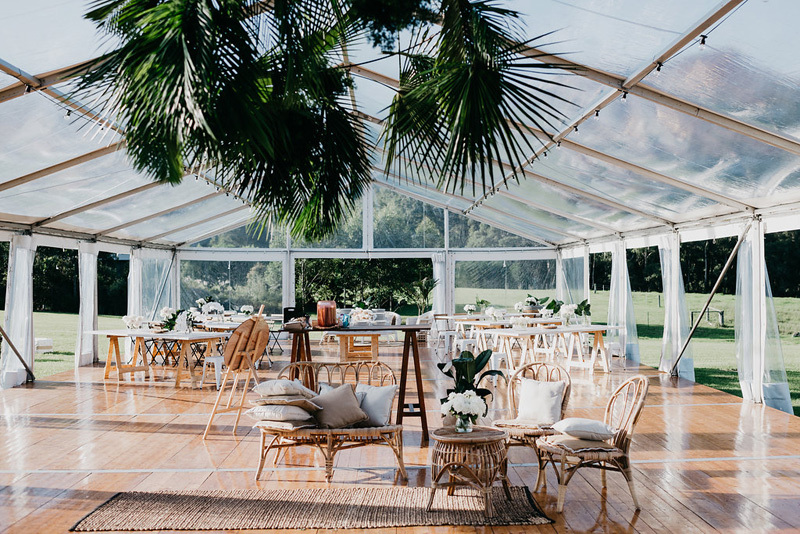 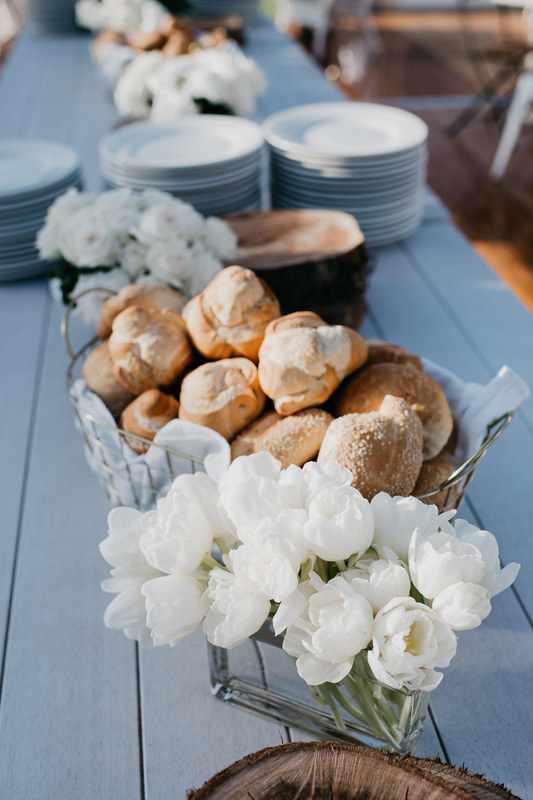 The furniture featured rattan and wick textures, with both low and high-level seating options, wooden round tables for the food and two walnut-timber wedding signs. 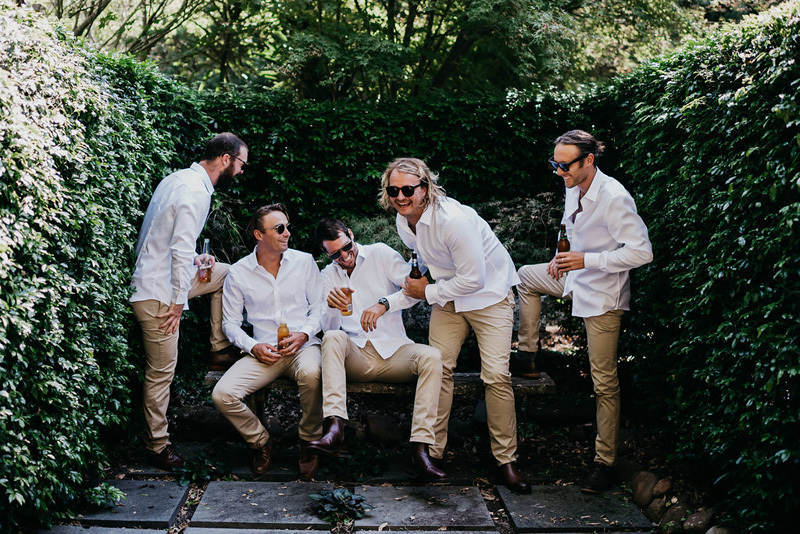 We should also make special mention of the wooden stile James made to help the bridal party get over the property’s fence to their wedding location – nice one James. 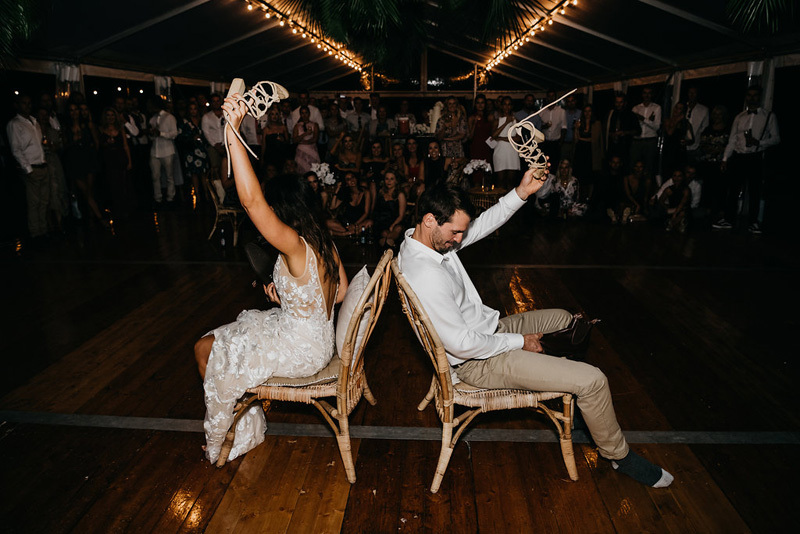 While Lui says there was no one element that really wow-ed guests, there were a few small, extra-special details that guests loved. 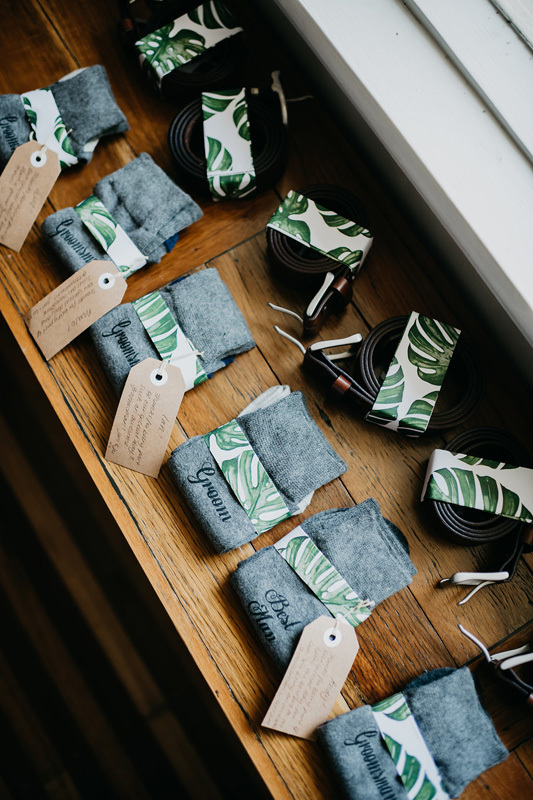 “The wedding favours were small pots of honey made from the beehives in our neighbours’ property,” says Lui. 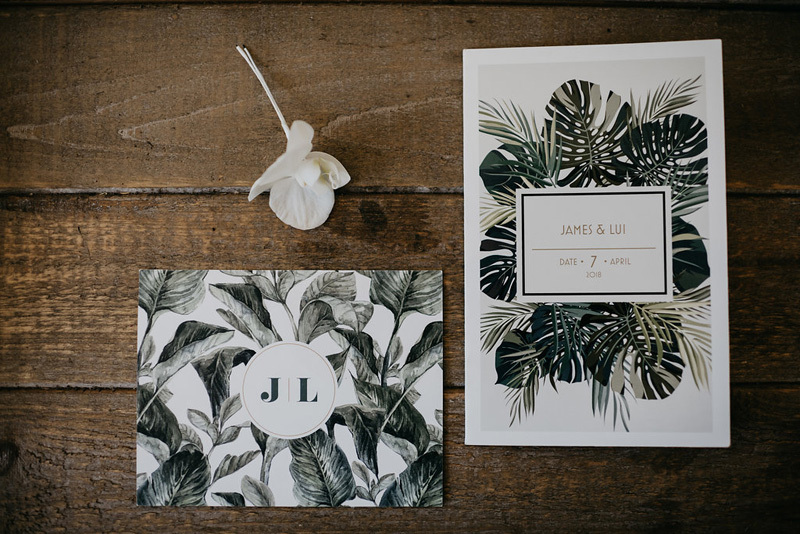 We hope you enjoy Lui and James’ tropical-luxe wedding as much as we did! 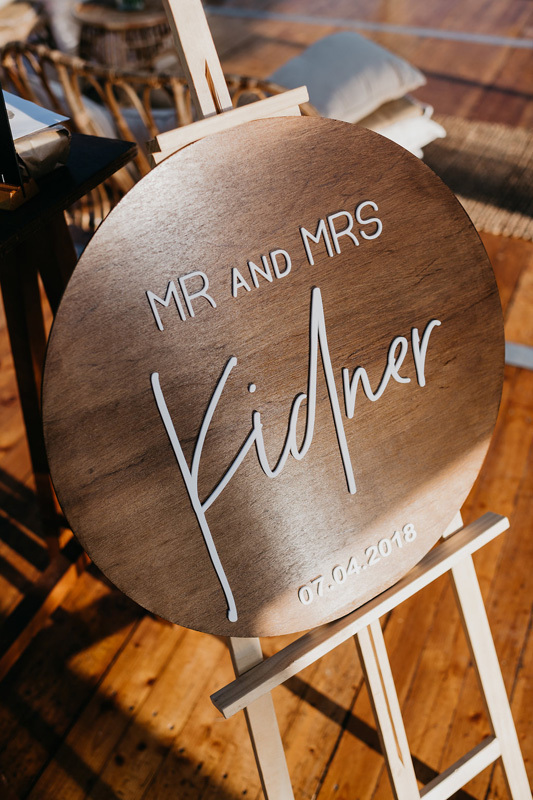 The gorgeous wooden sign with your married surname, where is this from?